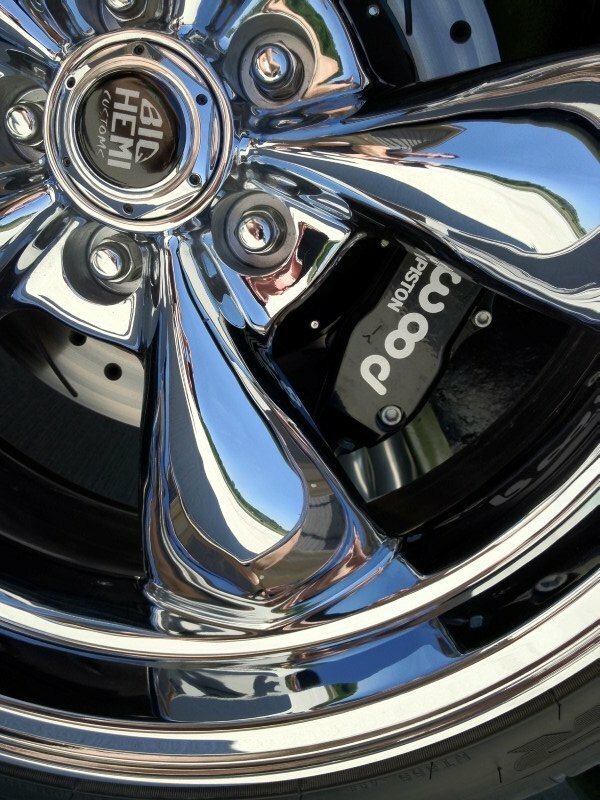 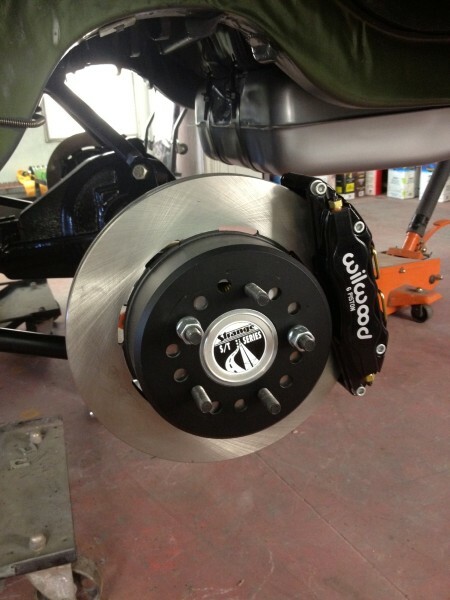 Wilwood 6 Piston Brake Kit/Custom Frnt/Rear Susp. 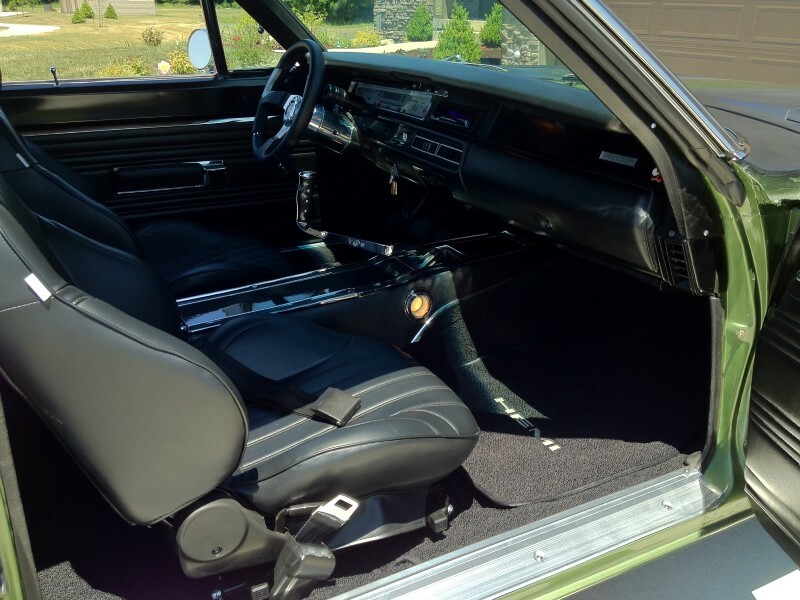 Given this is a Pro Touring Star, let’s begin with the performance bits. 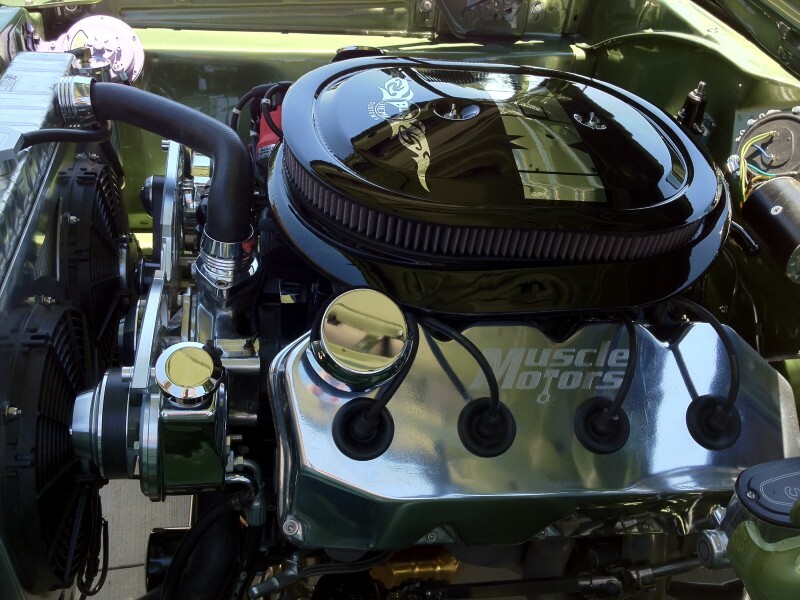 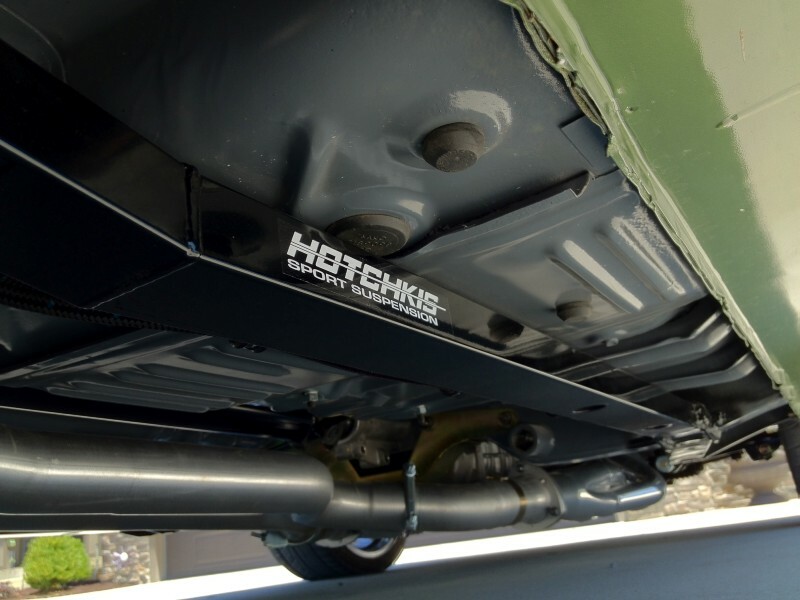 The engine is none other than a 528 Aluminum headed, Stroker Hemi custom built by Muscle Motors Racing, making 657 HP and 652 lb-ft of torque which will scream its occupants past 150 MPH. 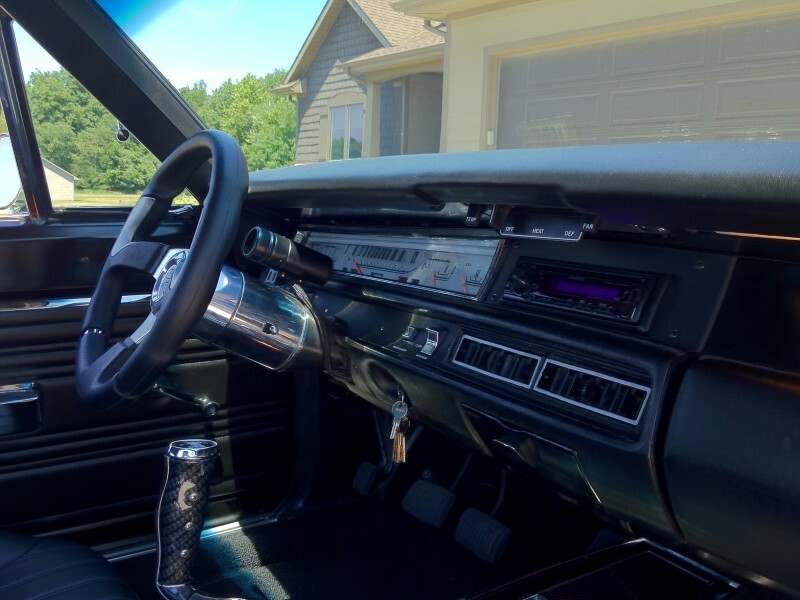 The Keisler Engineering 5 Speed Manual Overdrive Transmission kit with a pistol grip shifter sticking out of the tunnel will pace through the gears with flair. 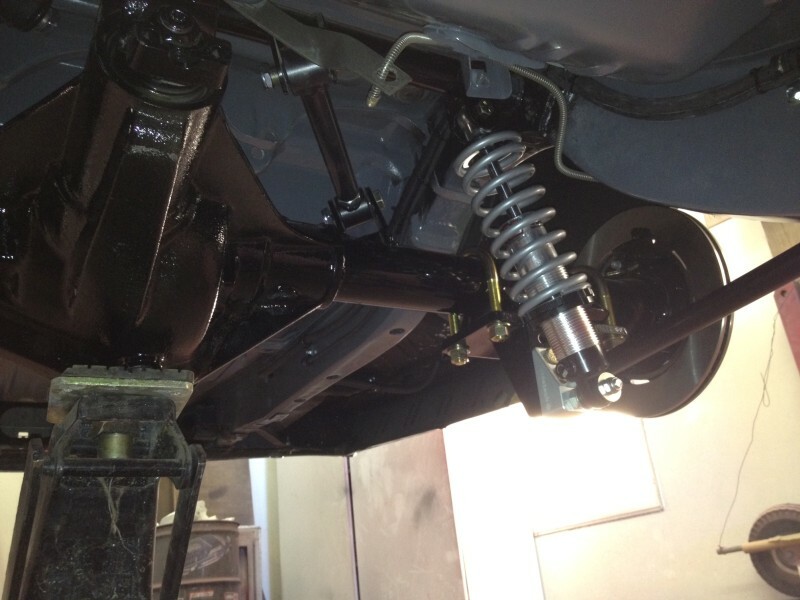 Putting the rubber to the ground is a new DANA 60 with a huge drilled and slotted 6 piston Wilwood Brake System and Reilly Motorsports Street-Lynx rear suspension kit. 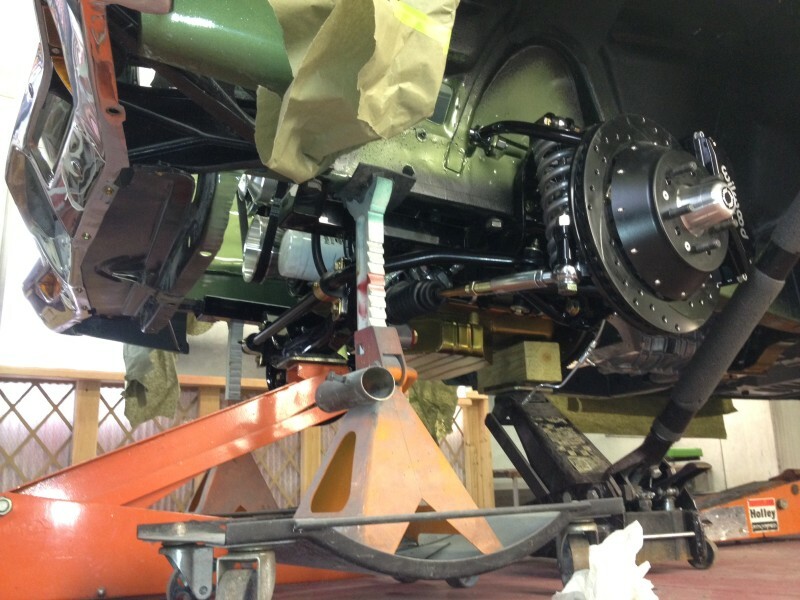 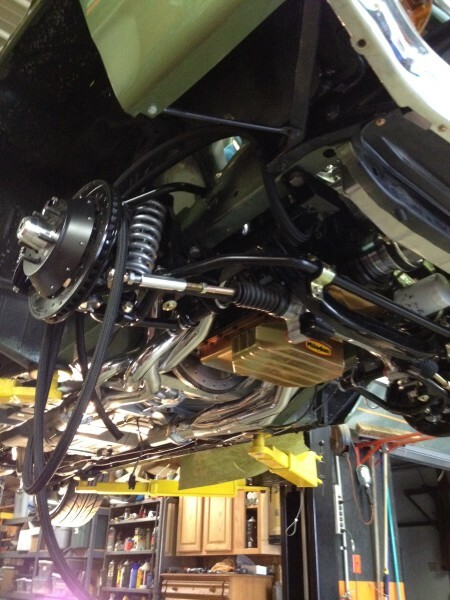 The Dana 60 is beefed up with 35 spline axles, a Trac-Lok Posi, and 3.73 gears. 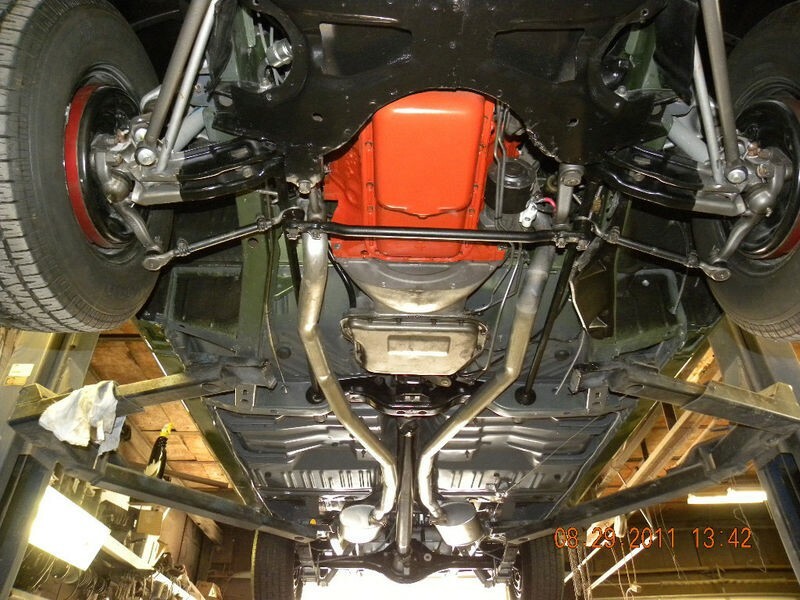 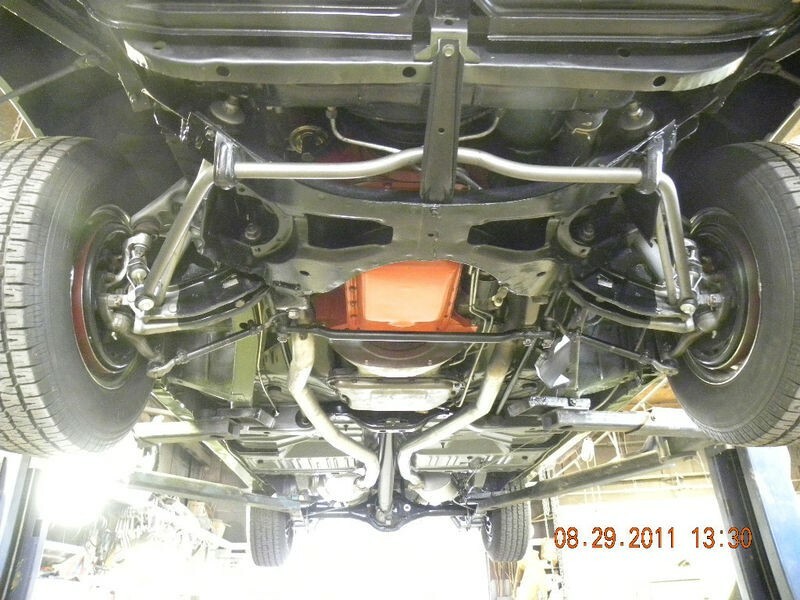 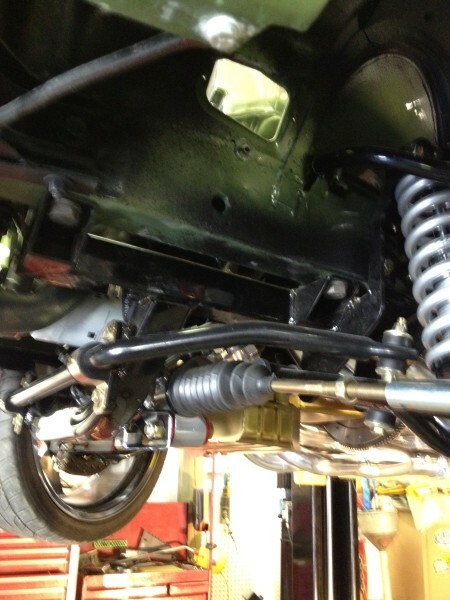 Up front is a complete AlterKtion/power steering/sway bar with a front tubular K member and adjustable coil over shocks. 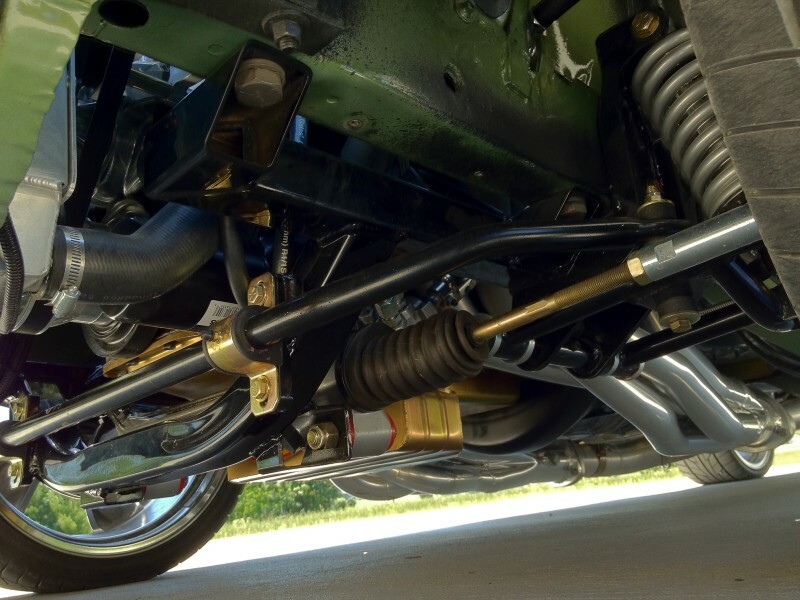 The suspension on this car is state-of-the-art. 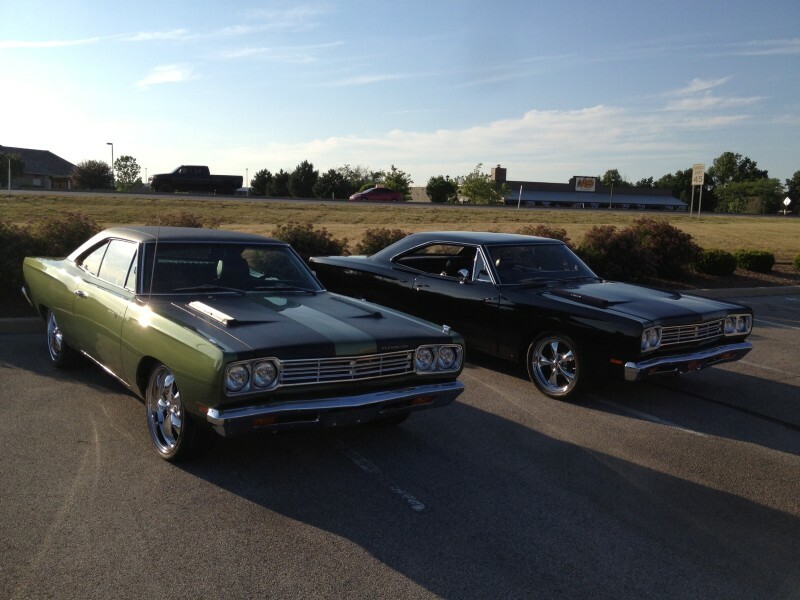 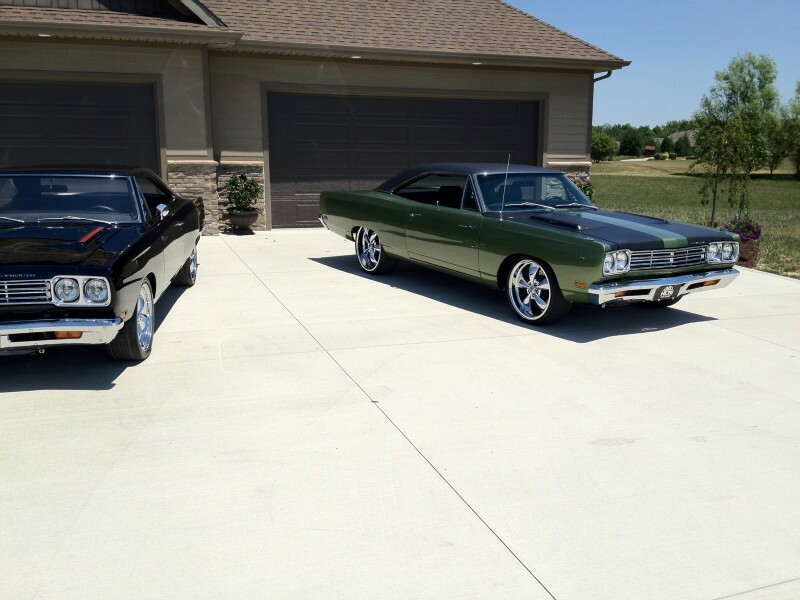 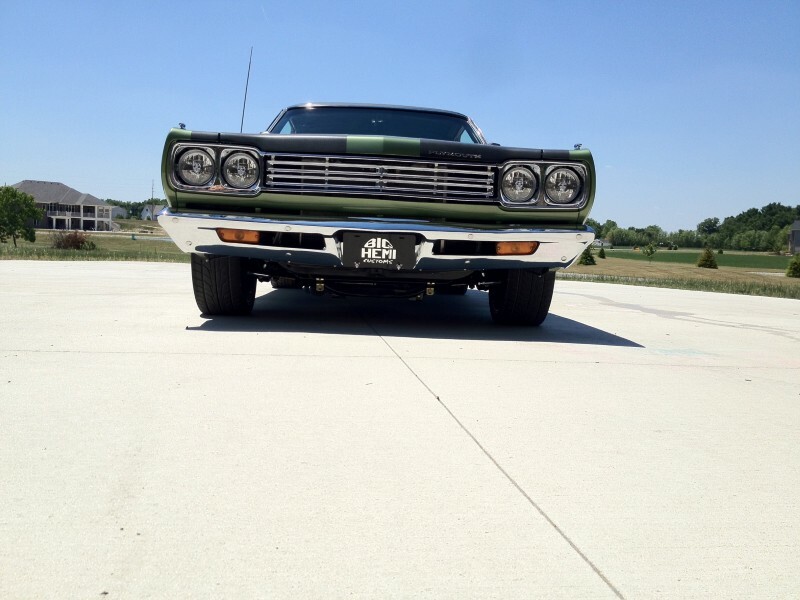 Try getting an original 69 Roadrunner to handle this good and 100+ mph speeds. 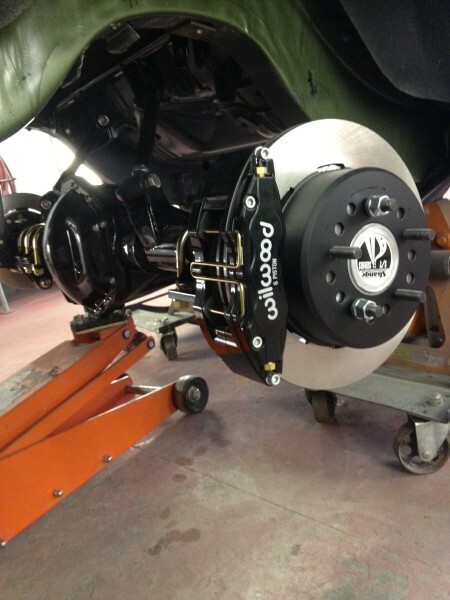 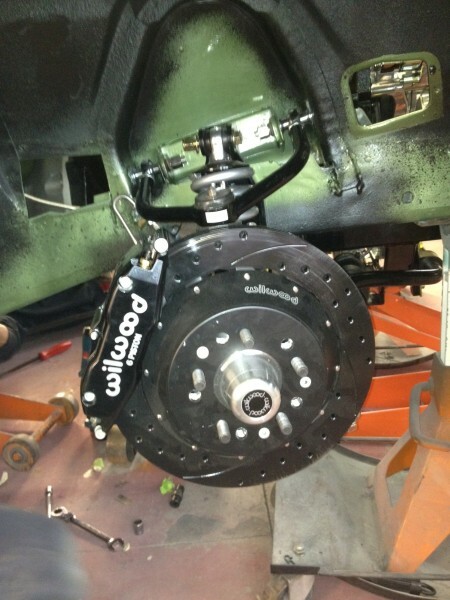 The brake system is supplied with 6 piston drilled and slotted Wilwood Brake’s and Wilwood Master Cylinder Kit. 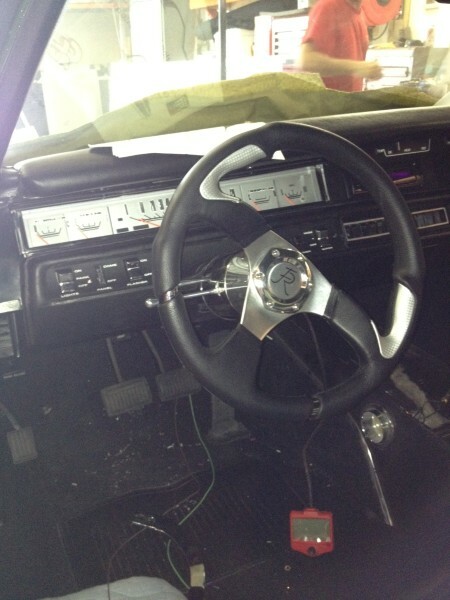 Hold on to the Flaming River tilt column steering wheel and enjoy the journey. 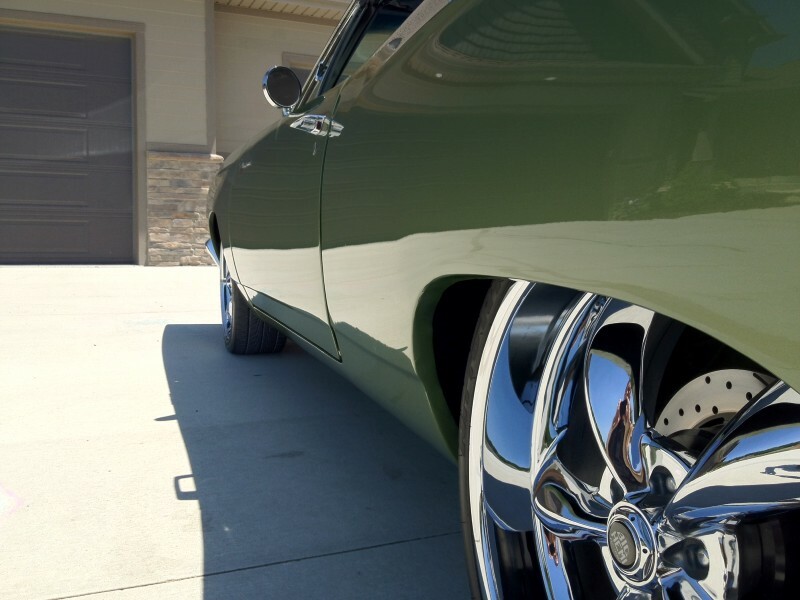 The spectacular wheels are provided courtesy of American Racing Torque Thrust M 22” X 10” in the rear wells, and 20” X 8.5” up front. 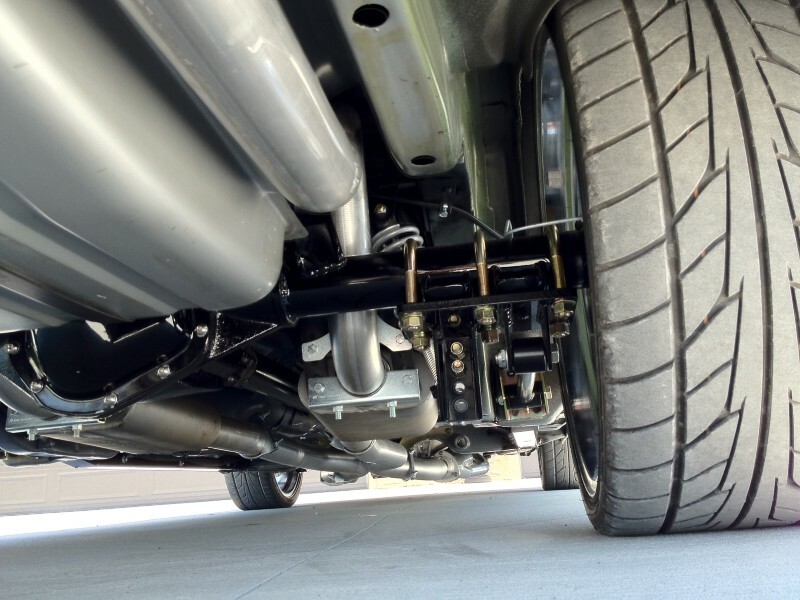 Nitto NT 555 Performance Tires will help with the traction and handling. 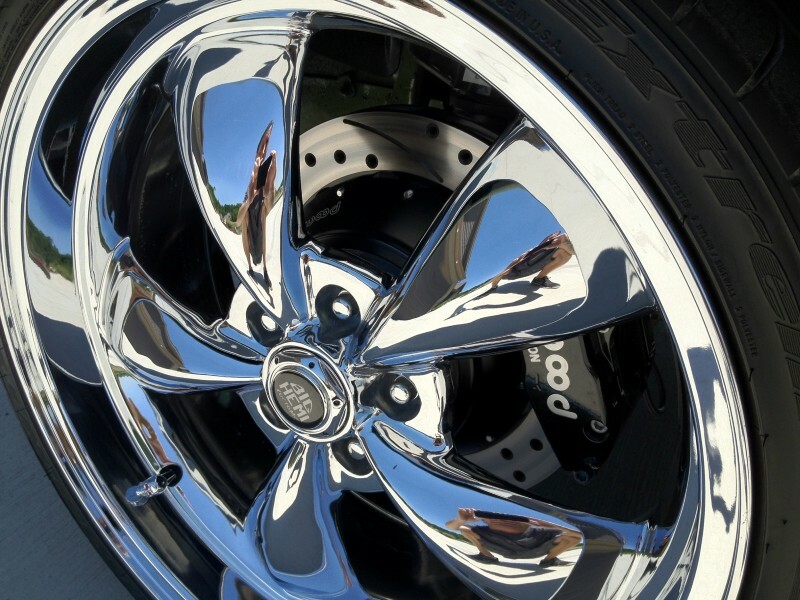 This wheel and tire package is second to none with its combination of performance and style. 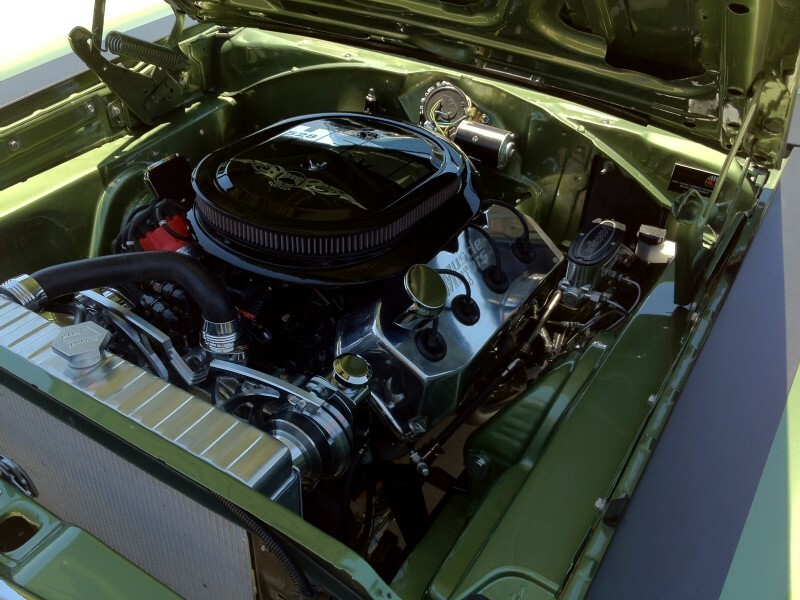 When it comes to the fuel, cooling, ignition, and electrical components, only the industry’s top companies were utilized. 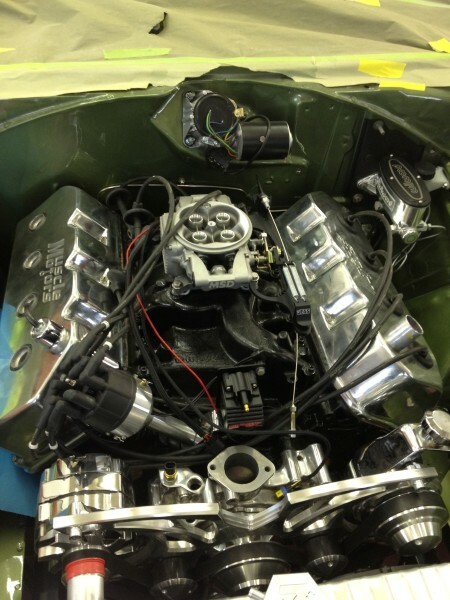 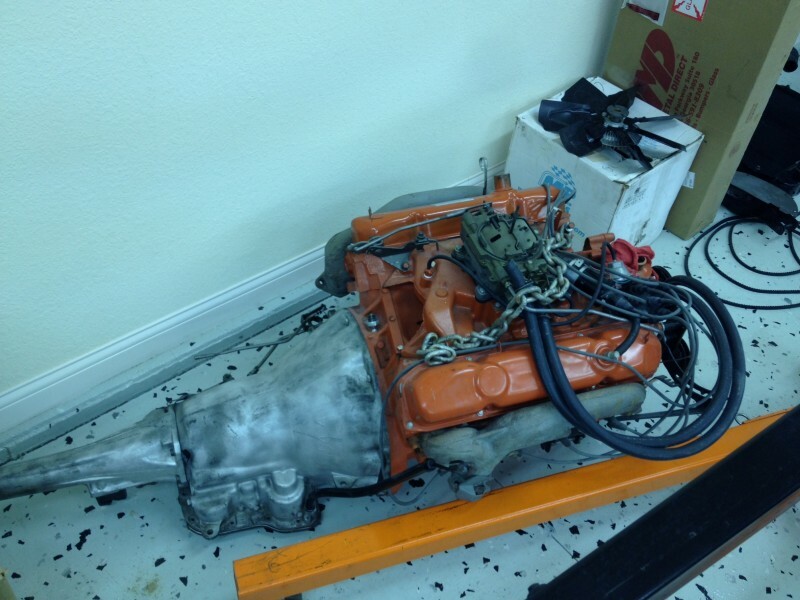 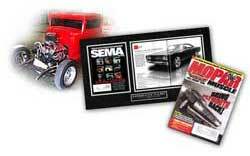 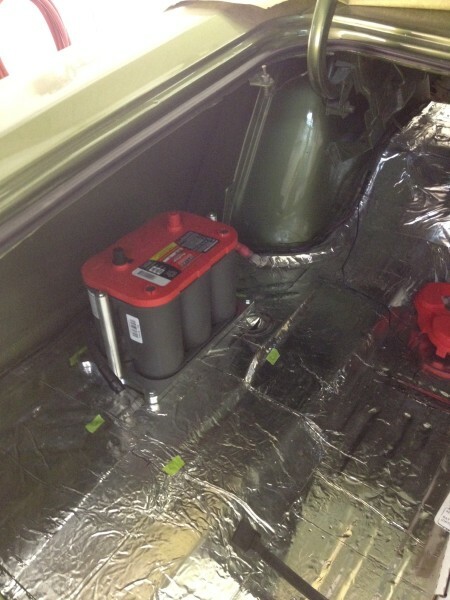 Fuel for the Hemi is supplied by MSD Atomic EFI fuel injection kit. 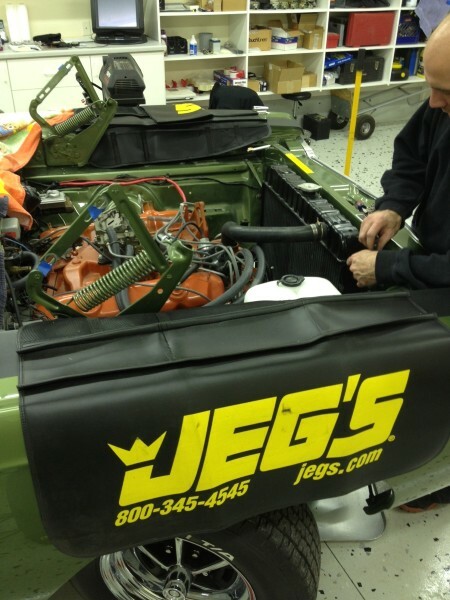 The fittings and lines, which plumb the fuel system, are from Summit Racing, JEGS High Performance and Inline Tube. 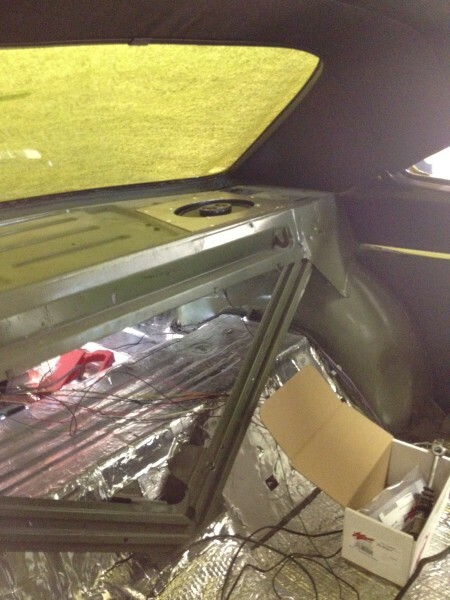 Cooling is performed by a large aluminum radiator with auto electric fans from Mark 7 Radiator. 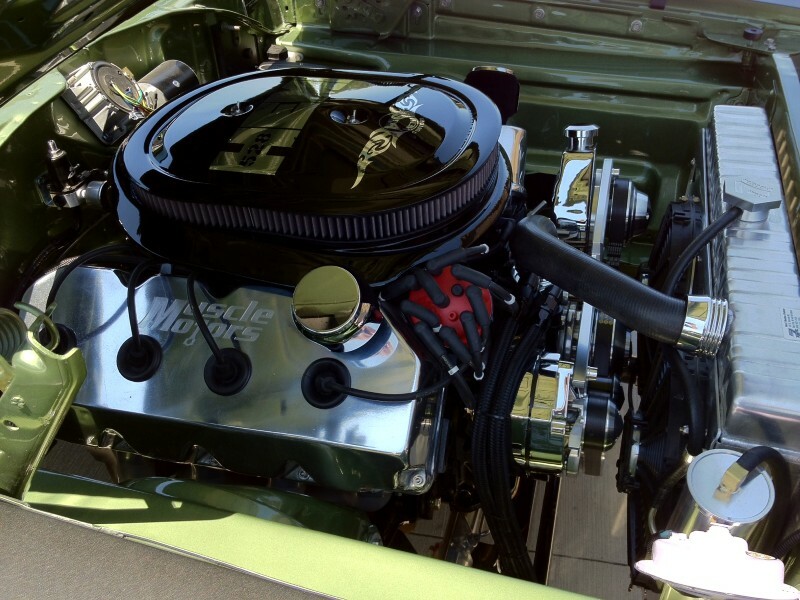 I would not anticipate any overheating troubles with this fire breathing monster. 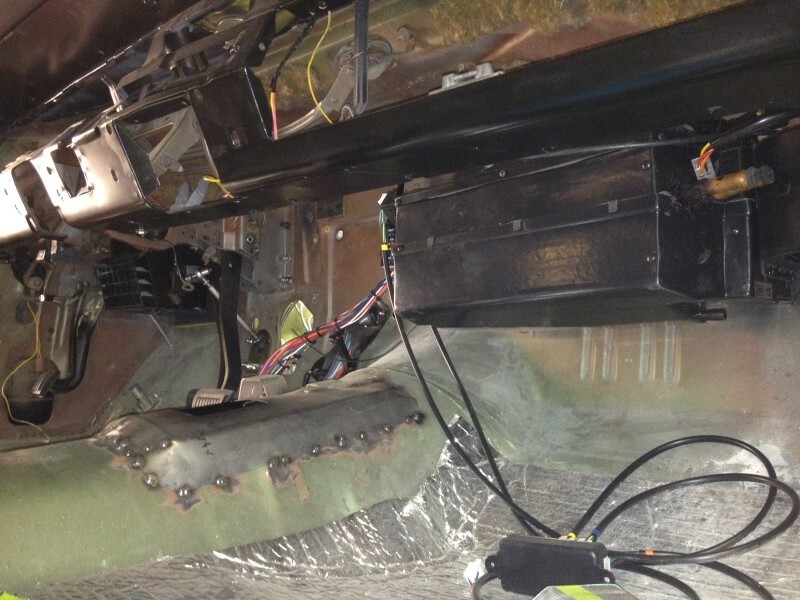 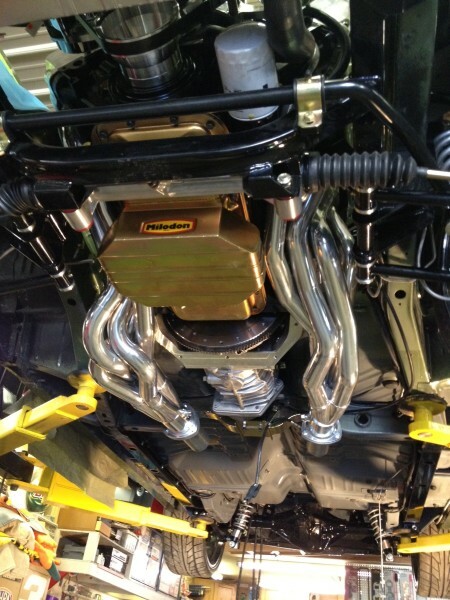 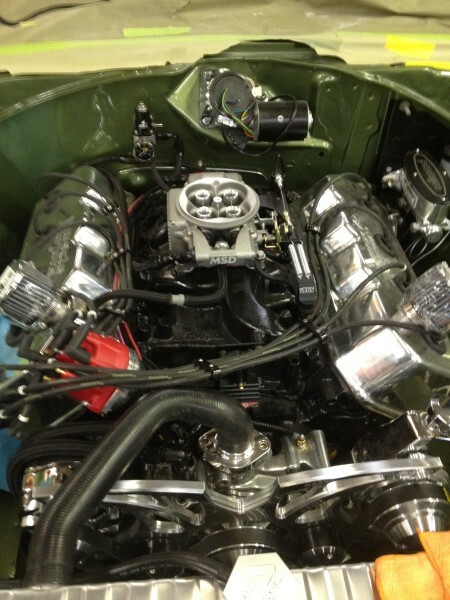 MSD Digital 6 box with Blaster Coil, Billet Distributor, and new plug wires fire the big Hemi. 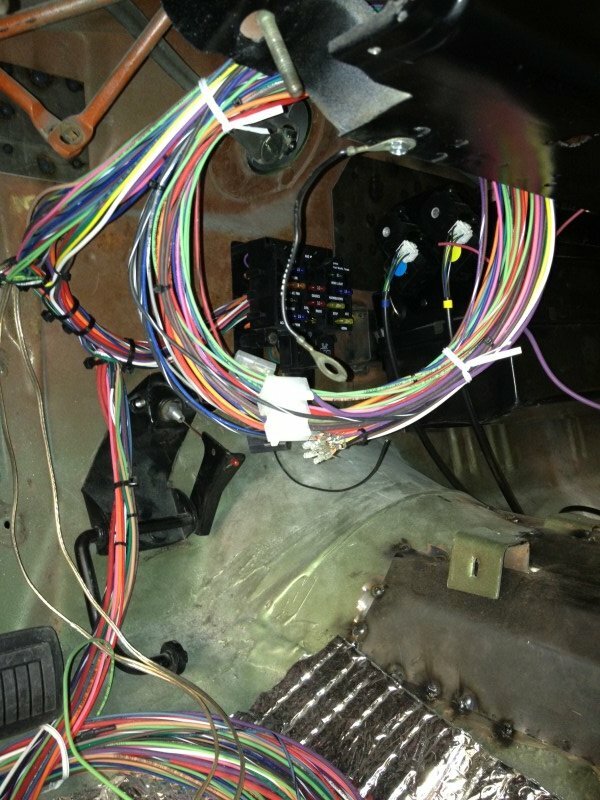 Painless wiring kit was professionally wired throughout the car, and March Performance Serpentine System with 105 amp alternator,and power steering. 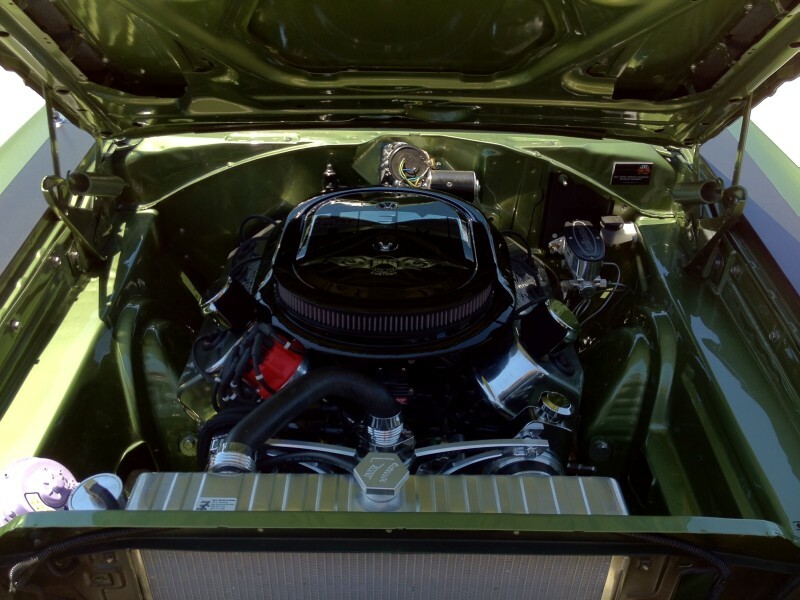 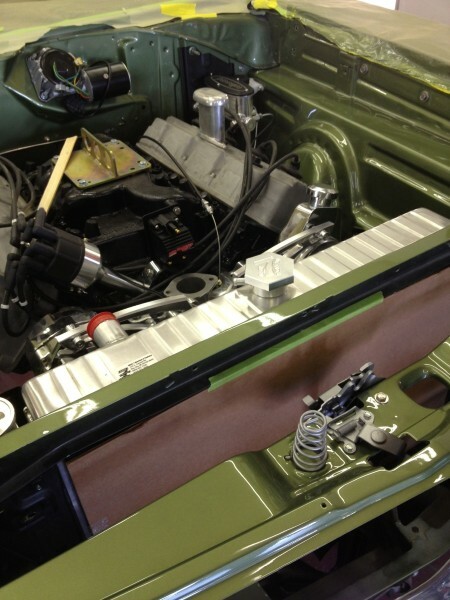 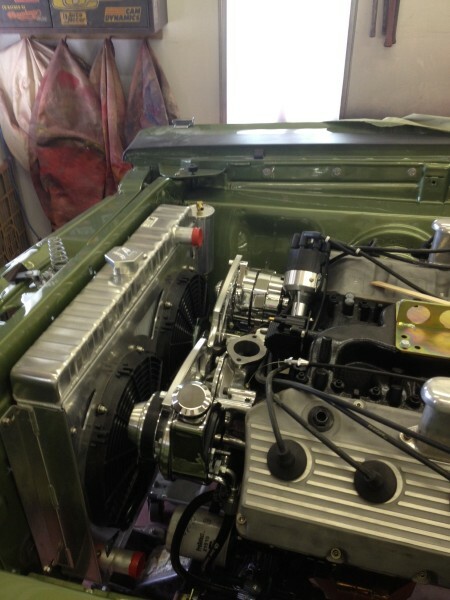 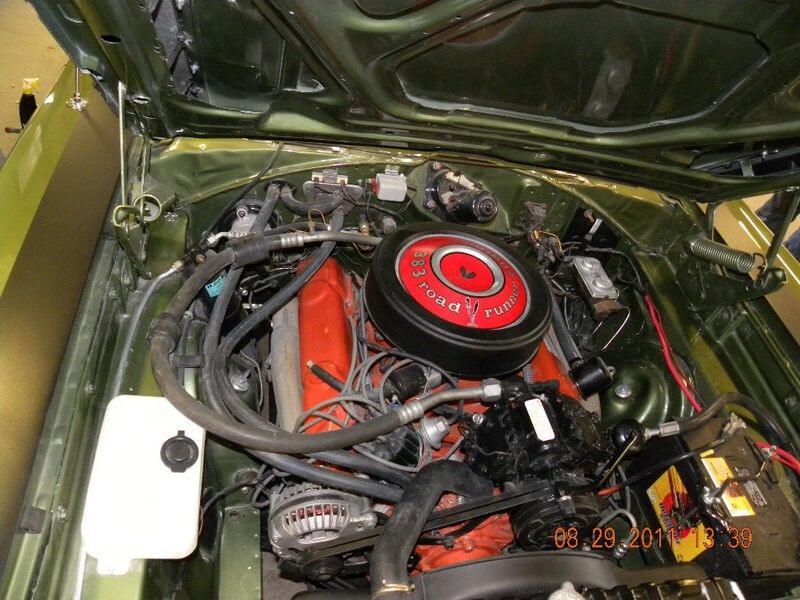 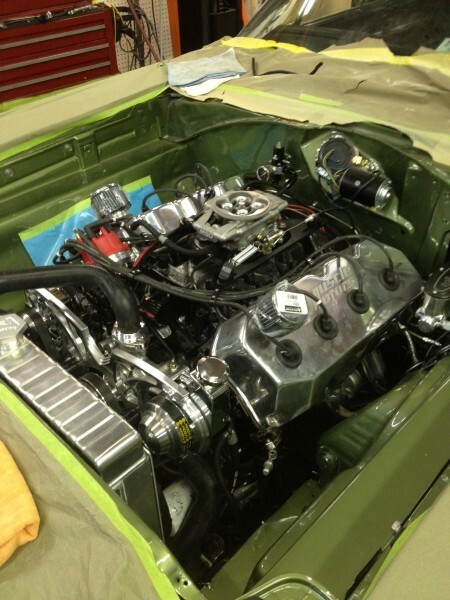 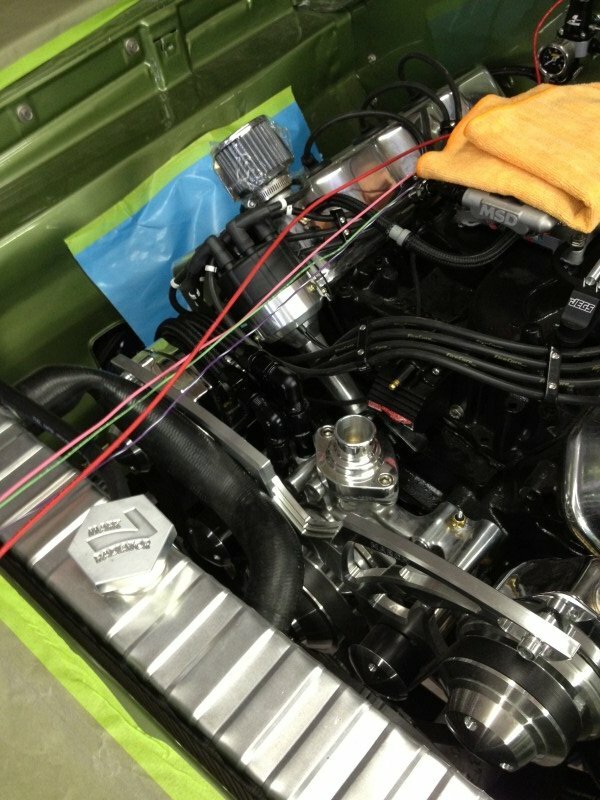 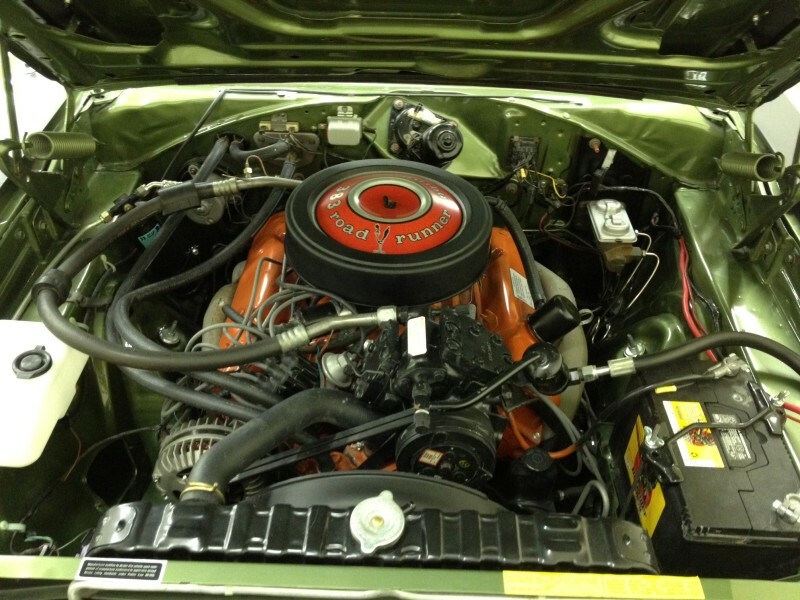 If you notice inside the engine compartment, time was taken to give it a very clean look. 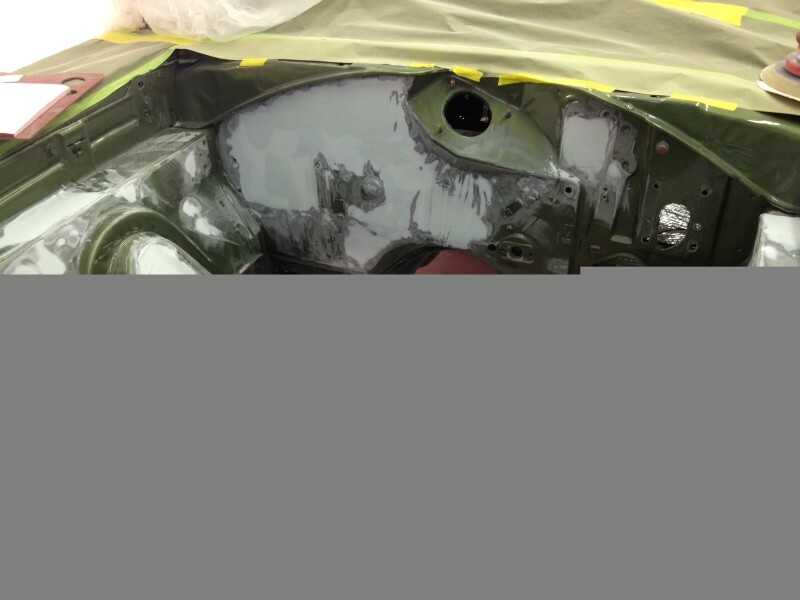 All of the inner panels were filled and smoothed, and the plumbing and wiring was nicely hidden inside the inner fenders to get that no clutters feel and look. 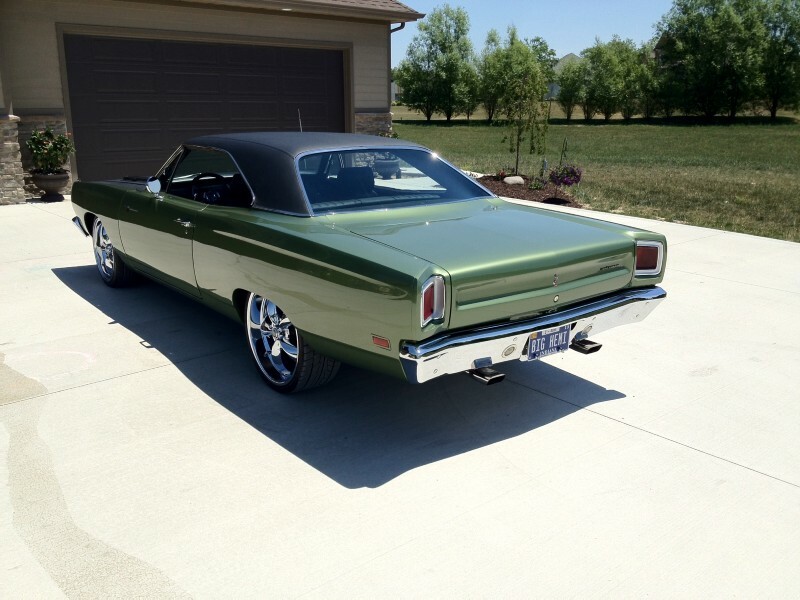 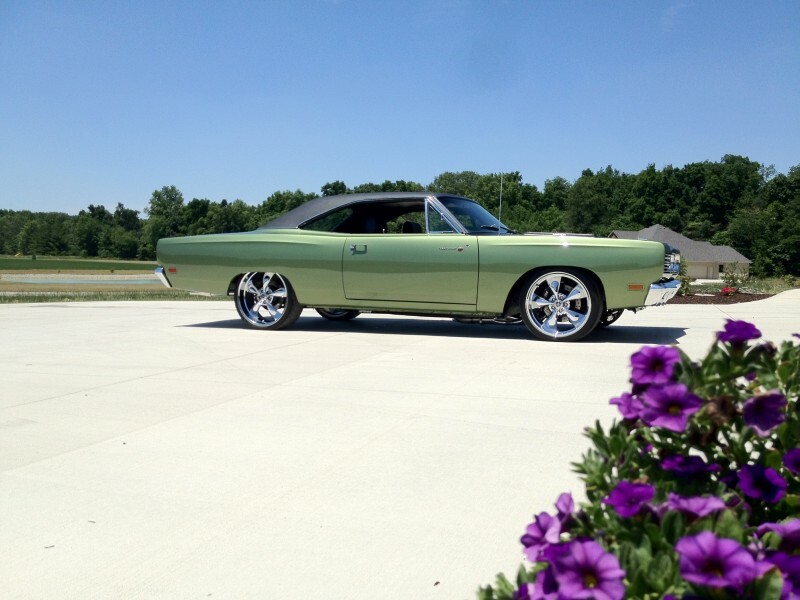 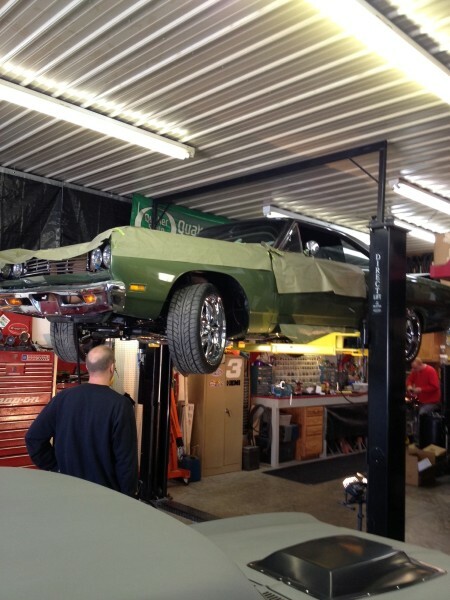 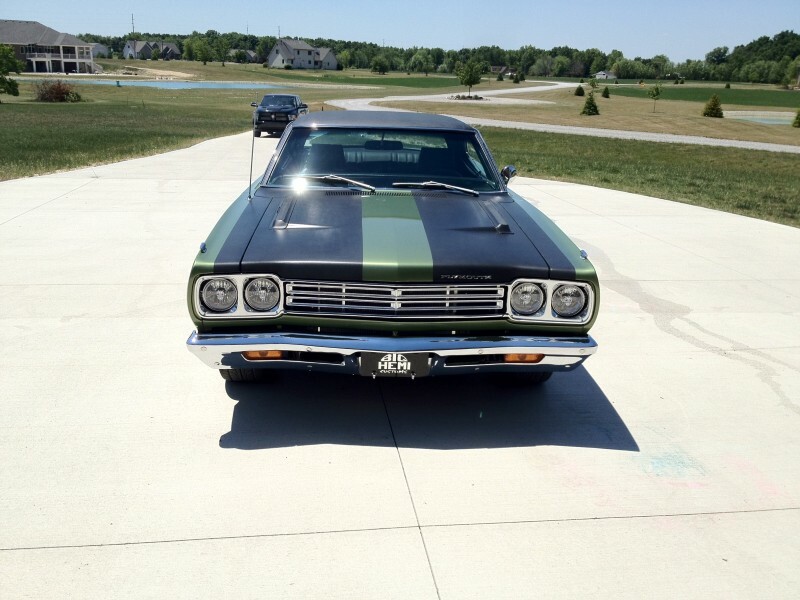 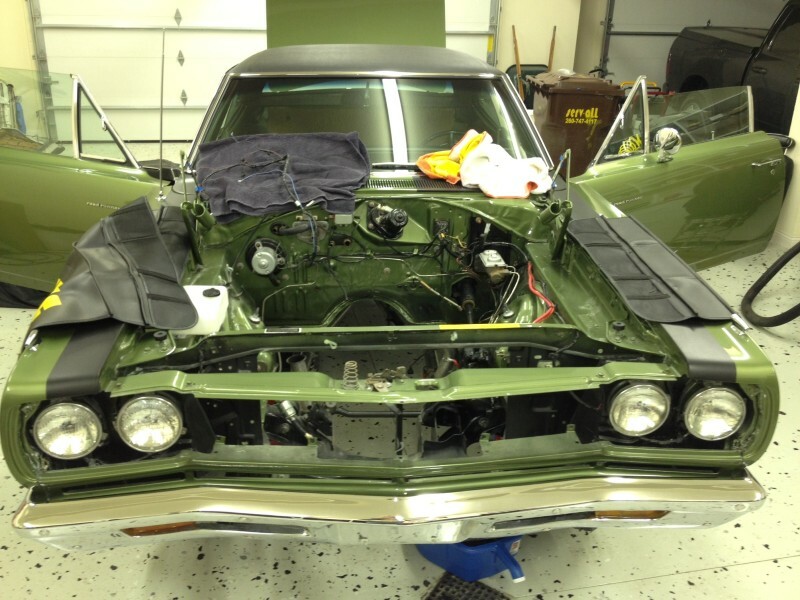 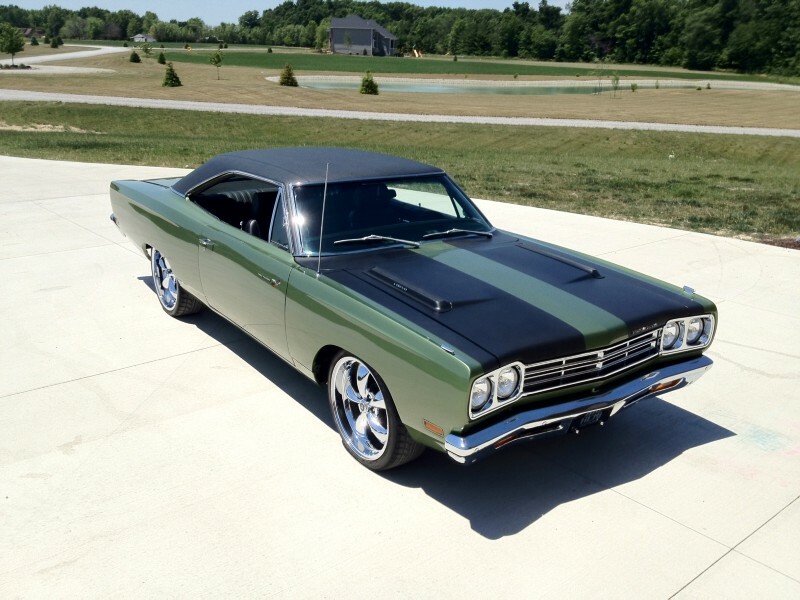 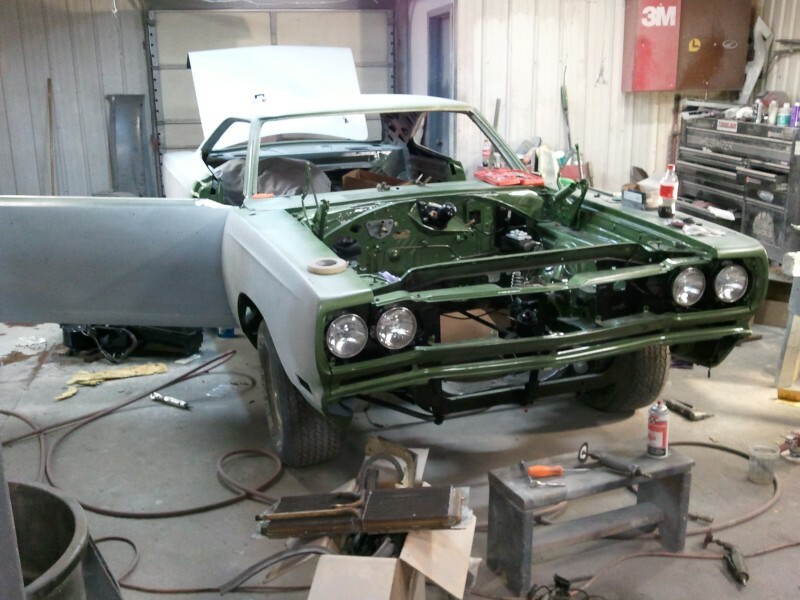 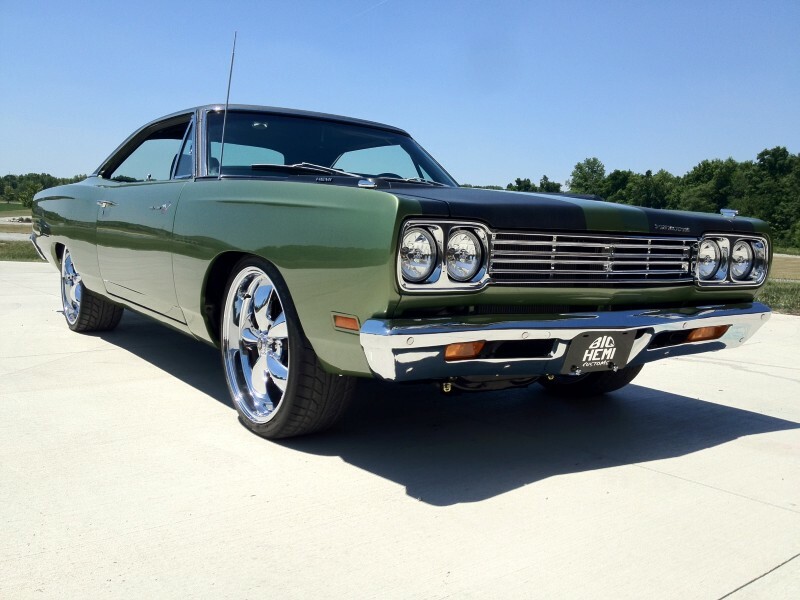 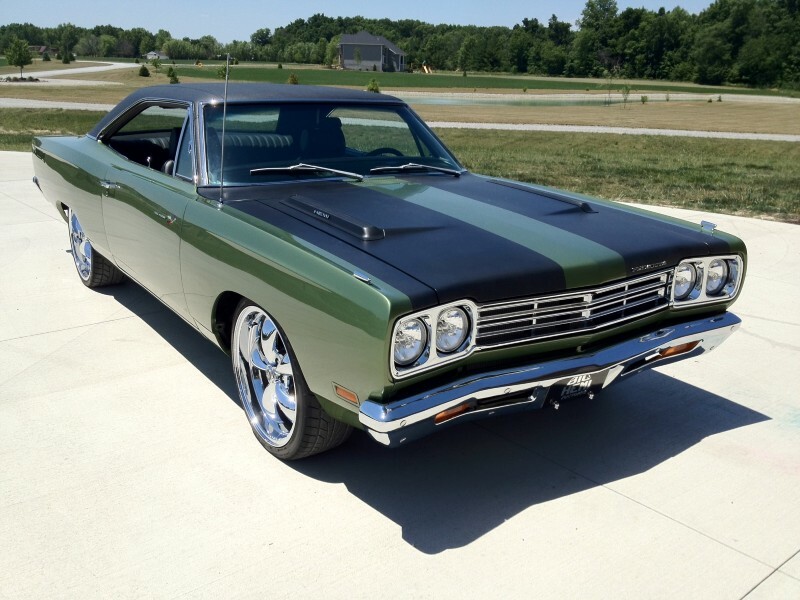 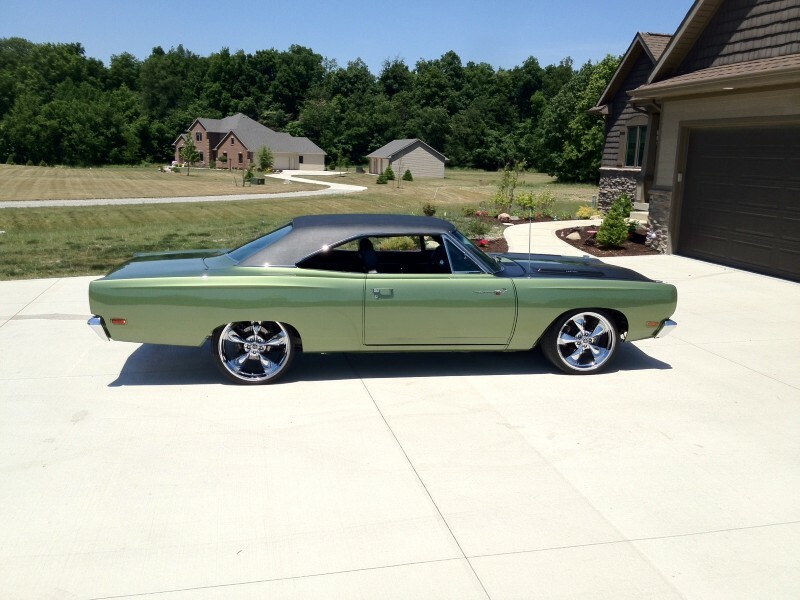 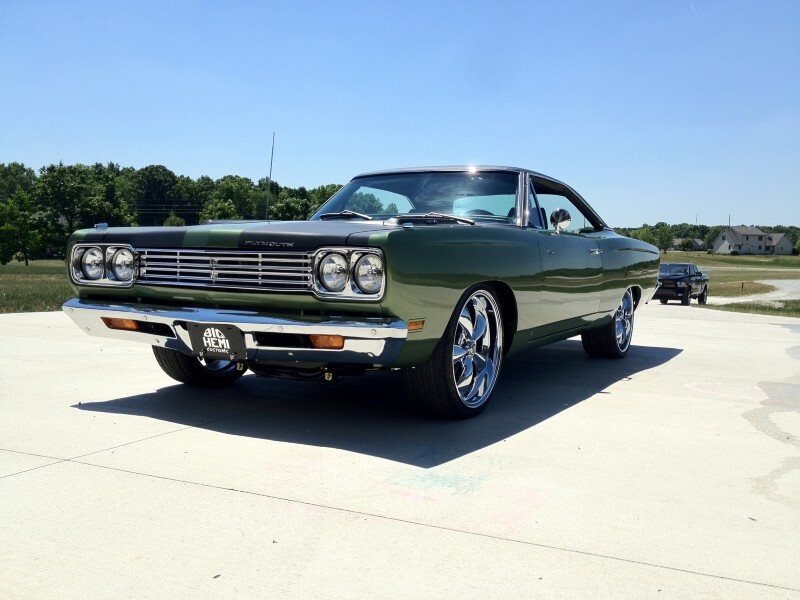 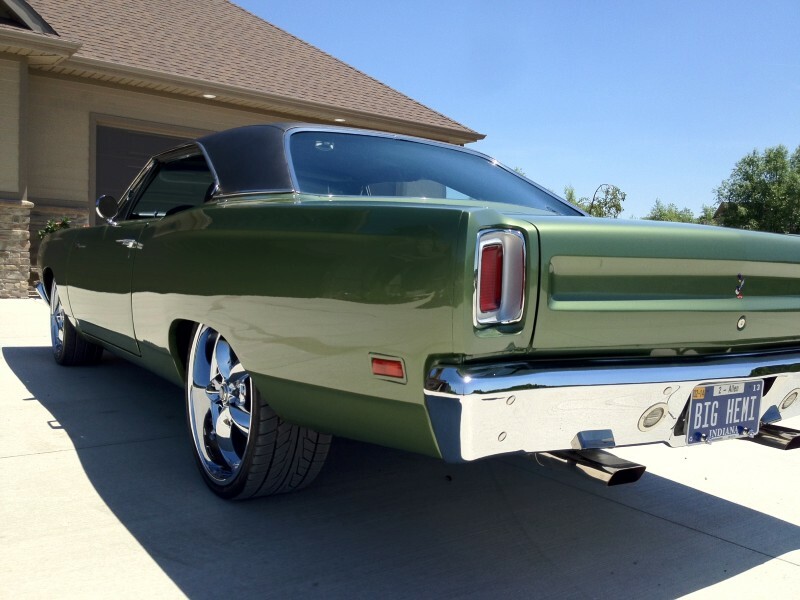 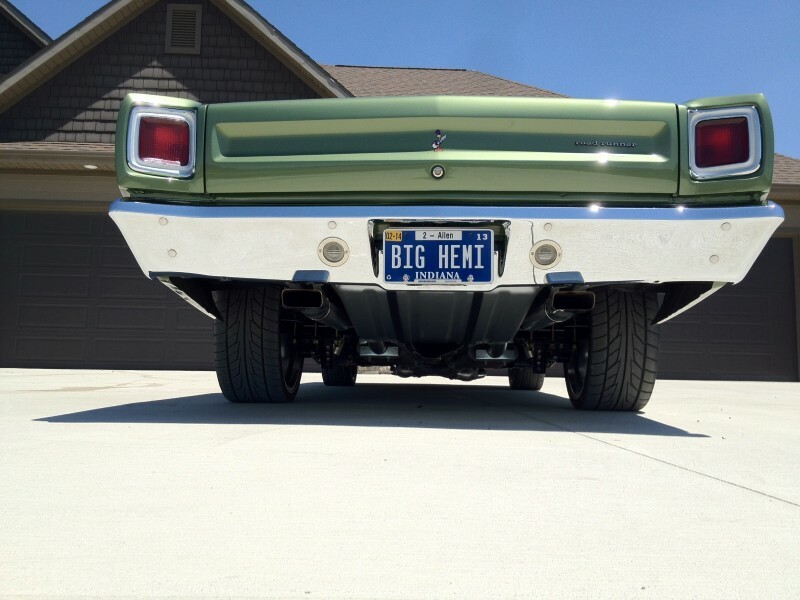 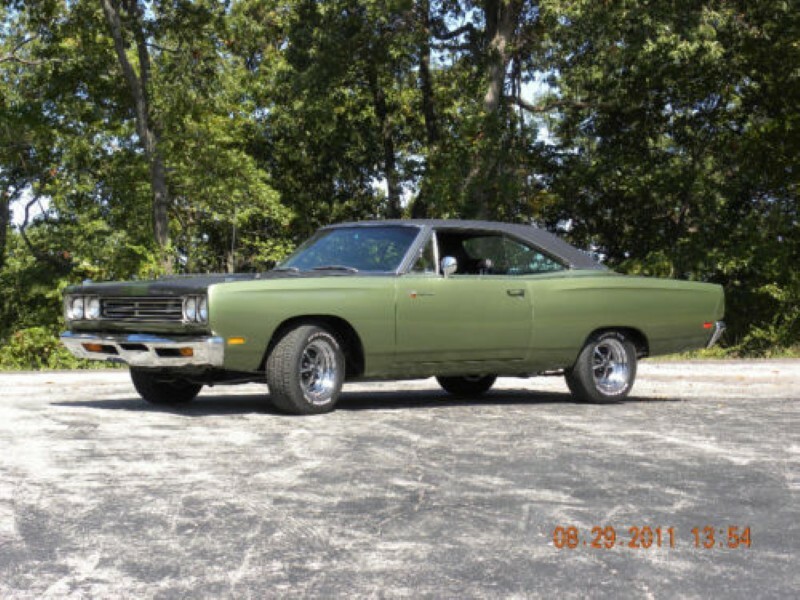 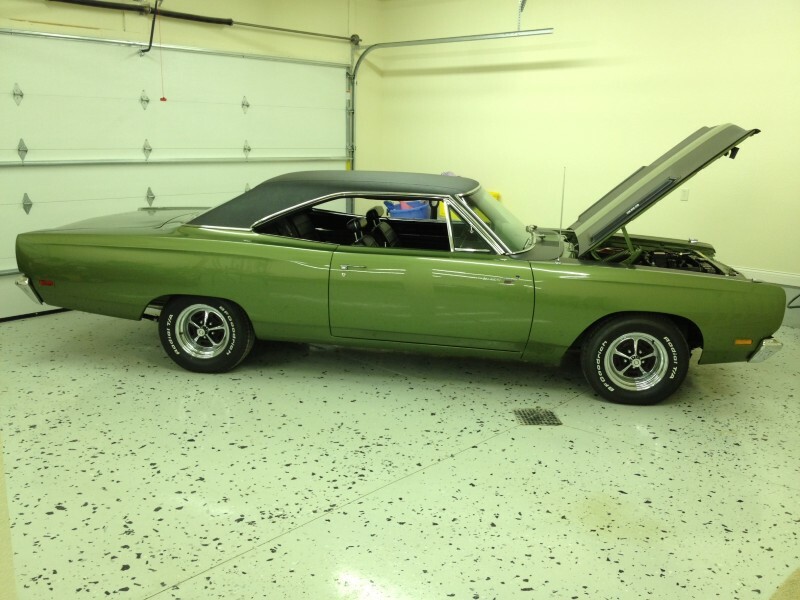 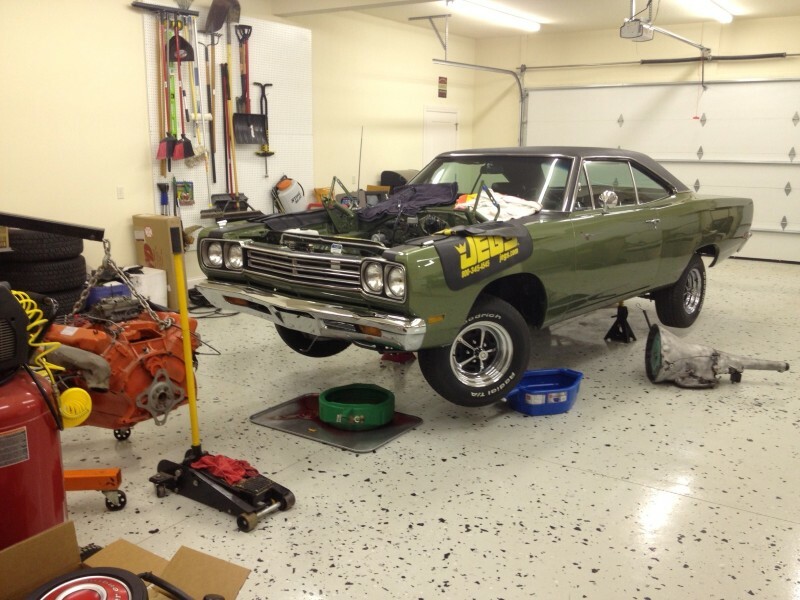 The exterior of this project began as a stock 1969 Plymouth Roadrunner. 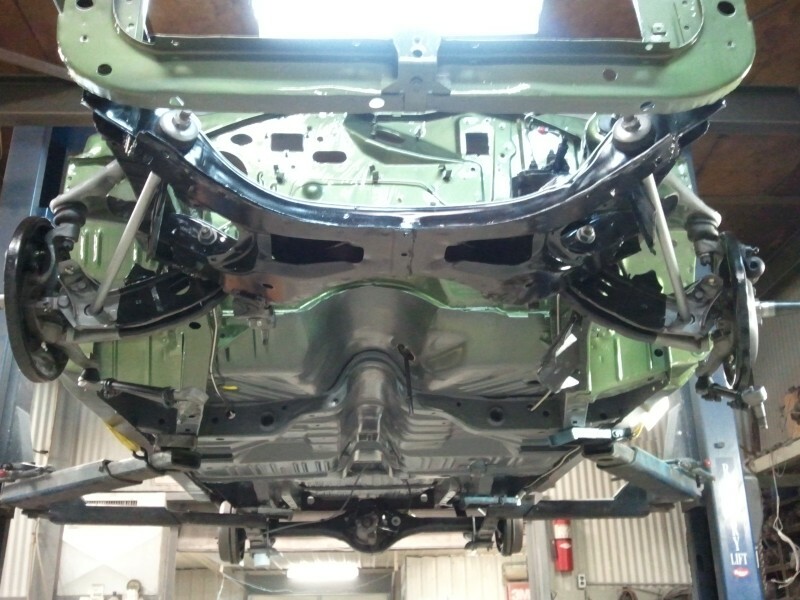 After little discussion, the car was entirely stripped and media blasting was used to come down to the bare metal. 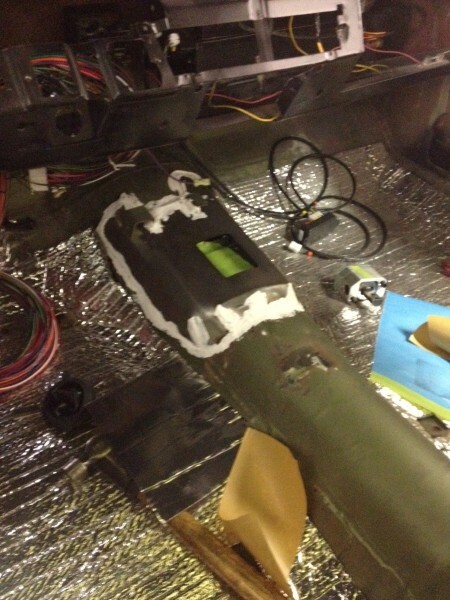 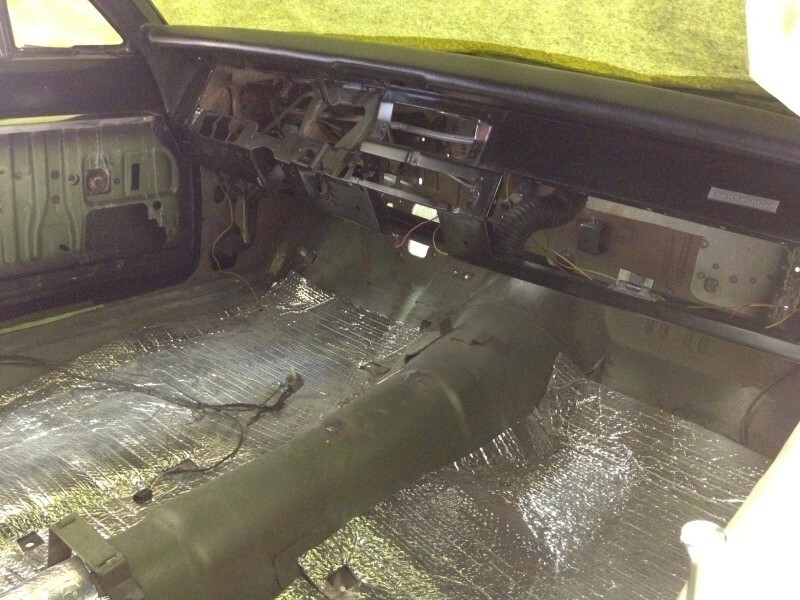 Sheet metal was replaced and all new glass was inserted around the cabin with help from AMD. 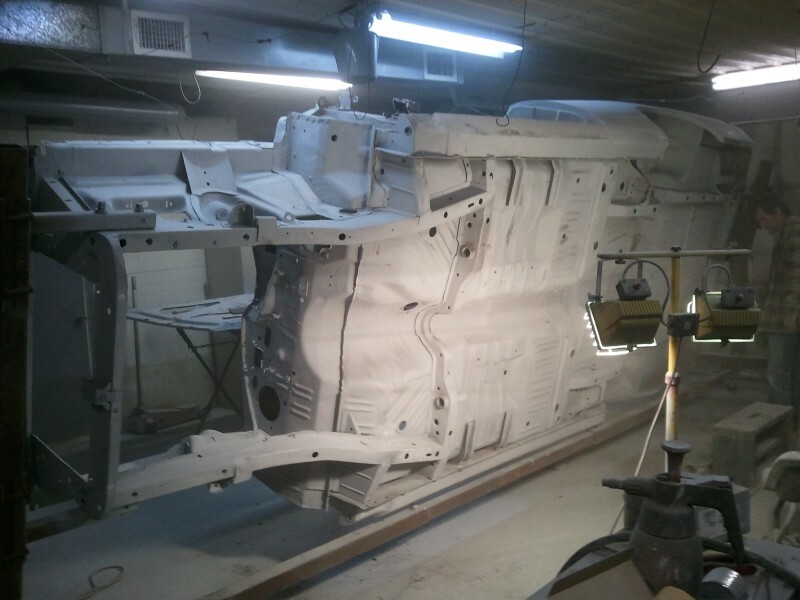 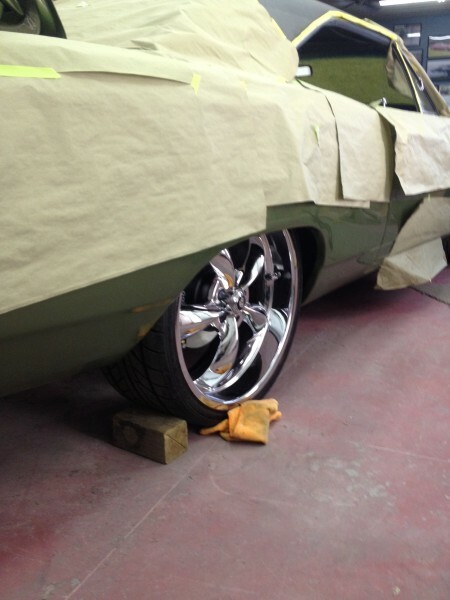 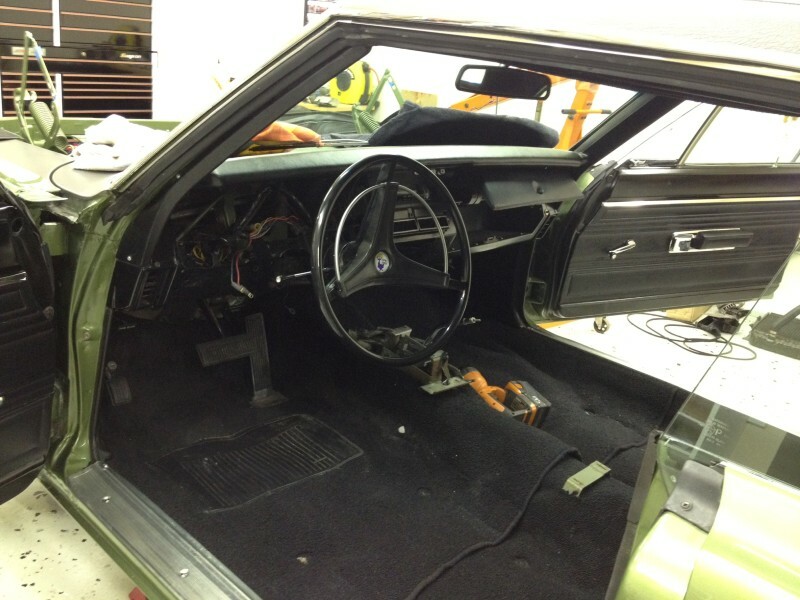 Hours and hours of body work was performed on the panels to get them very straight. 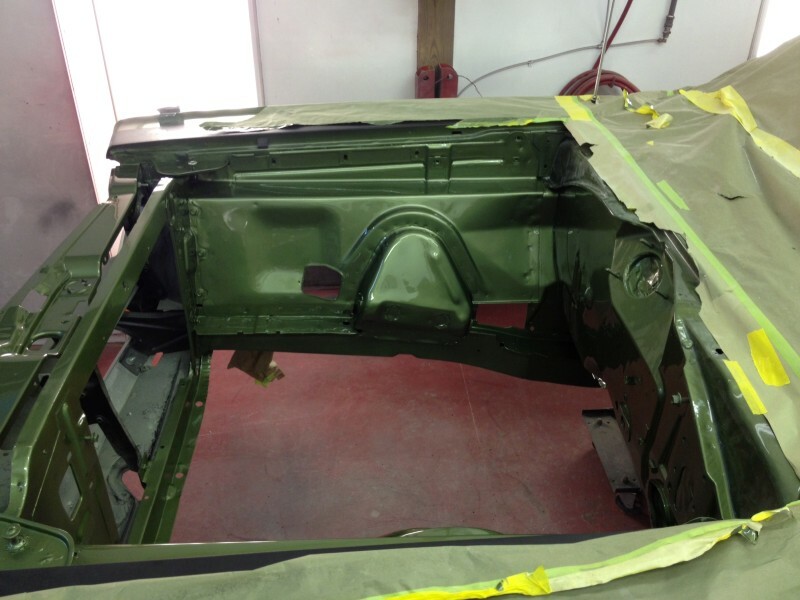 The exterior panel gaps are done to laser straight perfection, and are in perfect alignment. 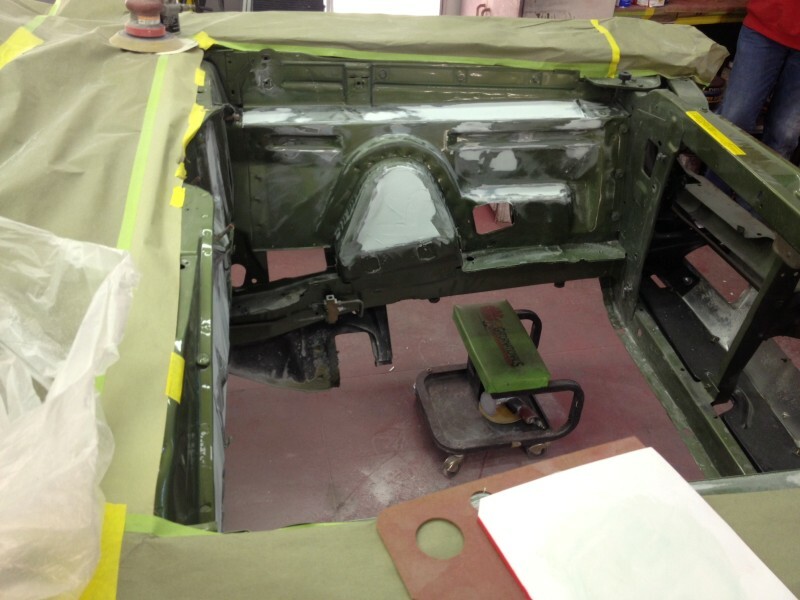 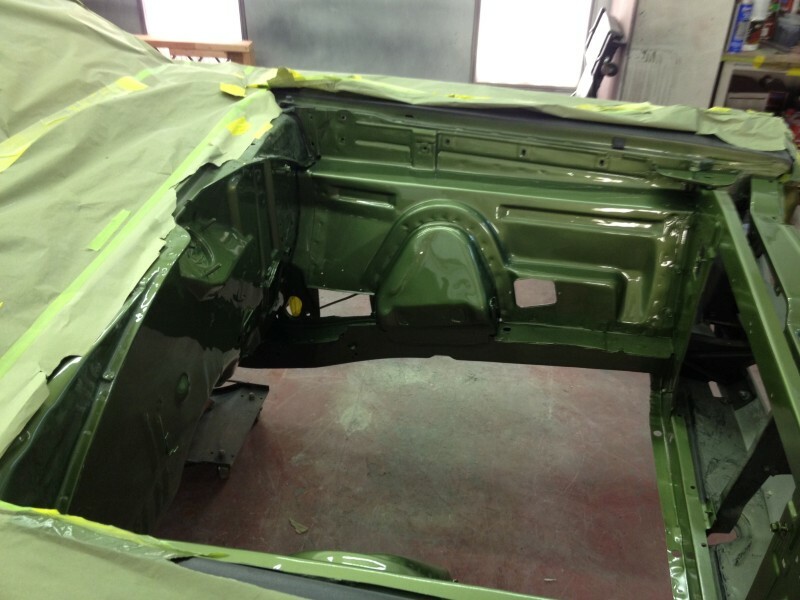 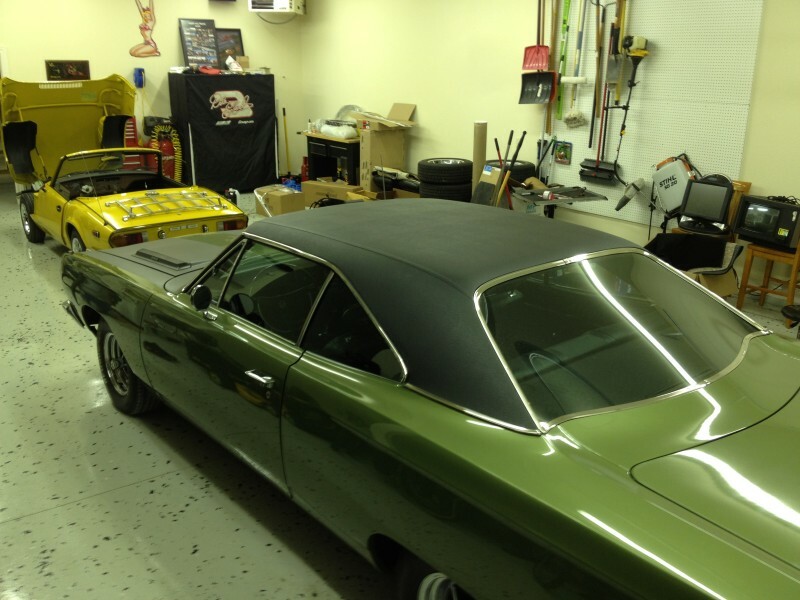 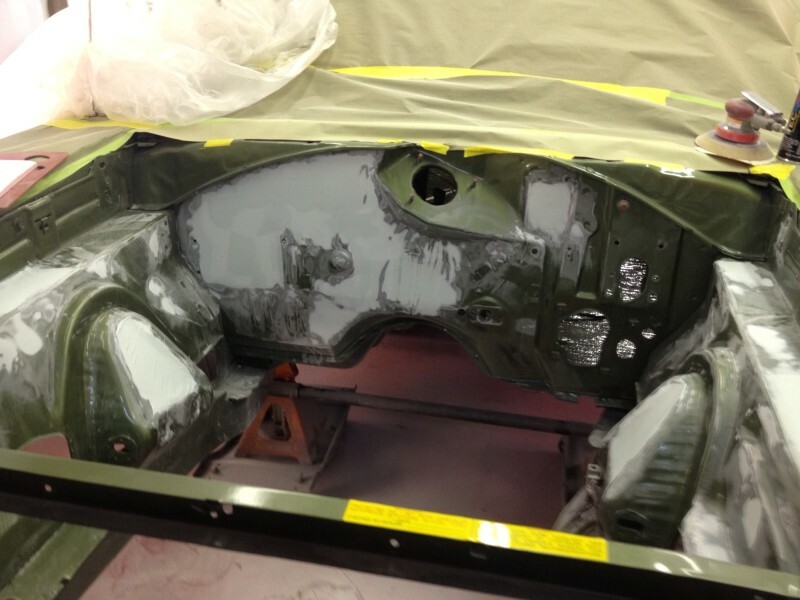 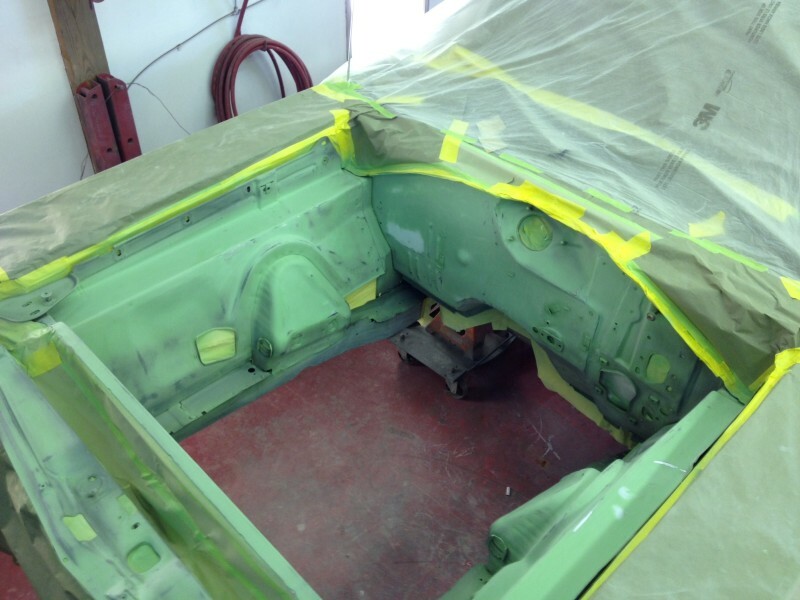 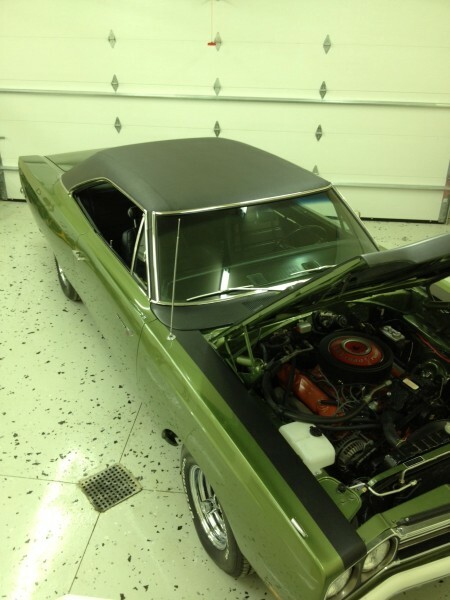 With help from the rotisserie the car was painted Limelight Green with the Black stripes added at the end. 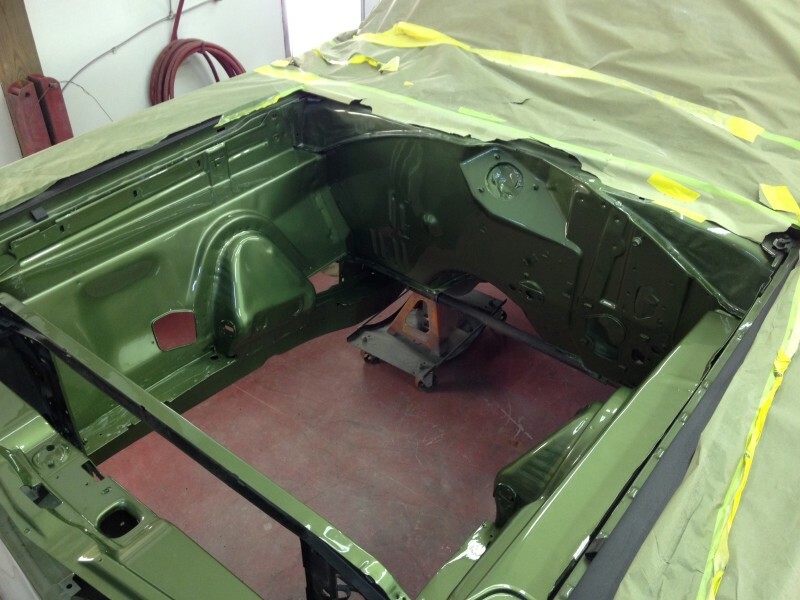 The 2-stage urethane looks miles deep and that is thanks to 3 green coats and 6 coats of clear. 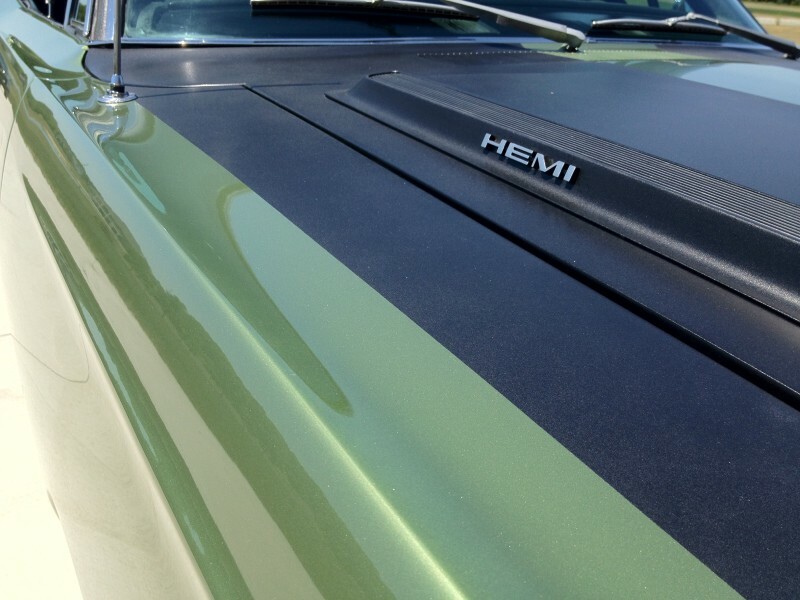 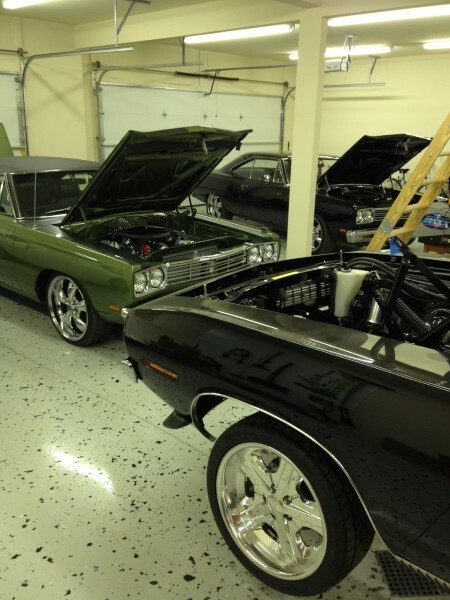 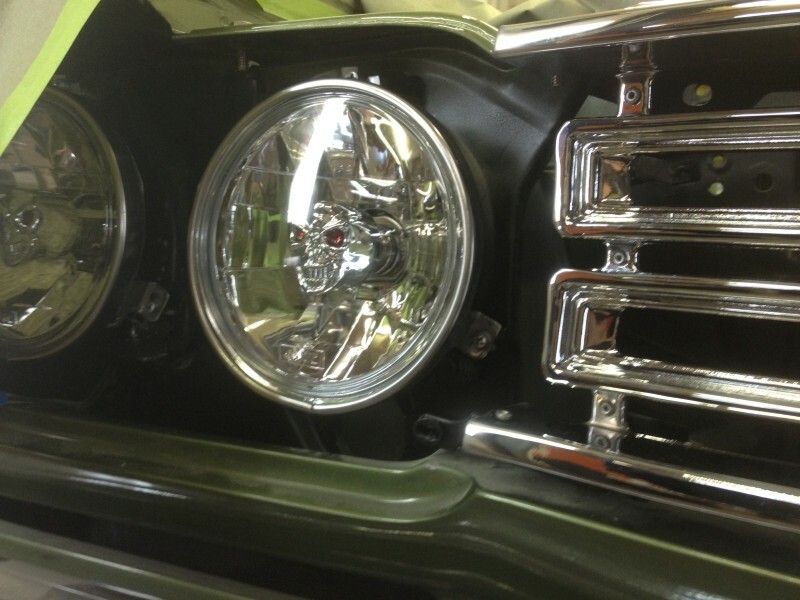 The chrome, of course, is straight off of the showroom floor, and shines brilliantly against the green finish. 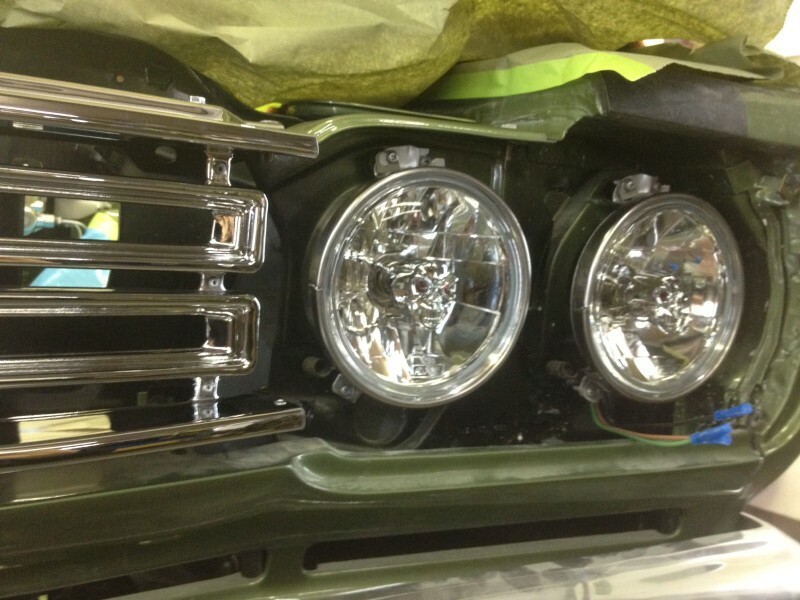 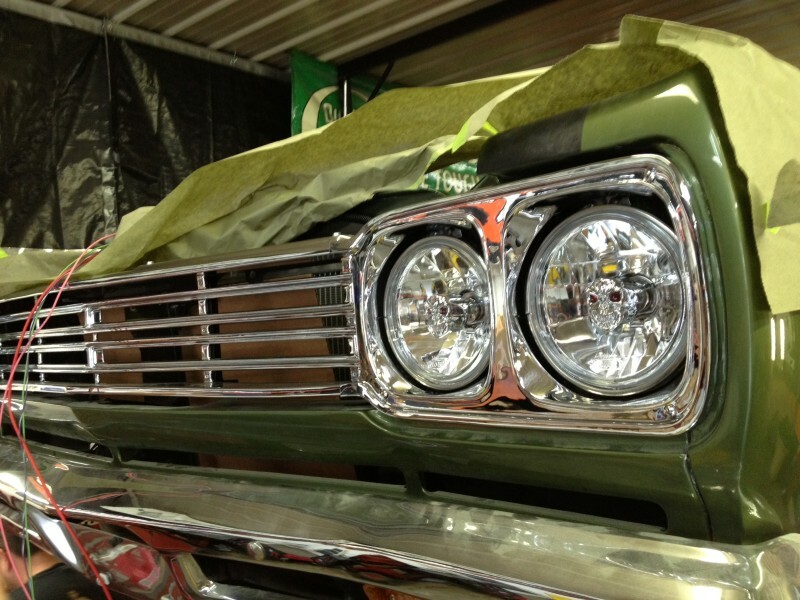 Check out the custom chrome front grille assembly with skull H4 headlights peeking at you. 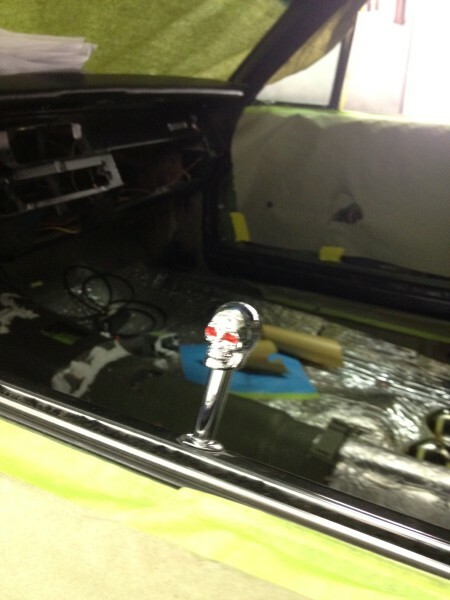 When building a custom car like this, you can’t forget all of the small details. 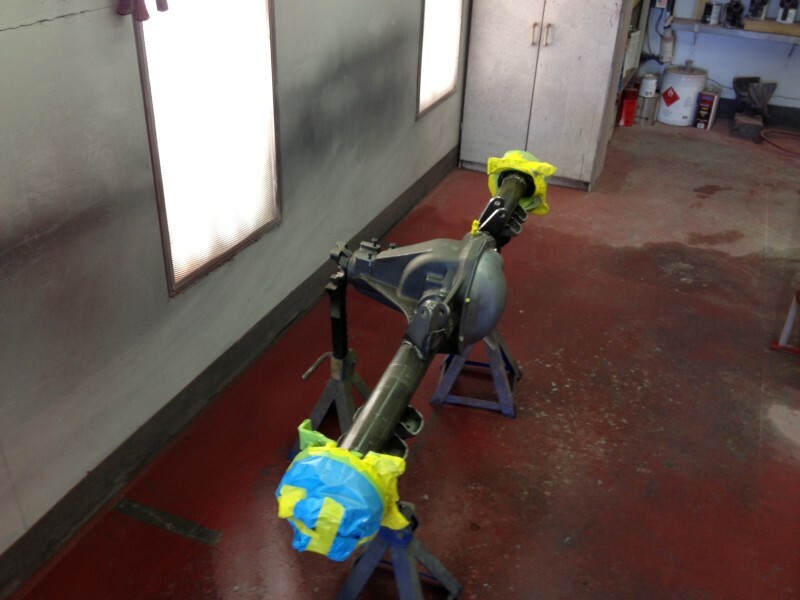 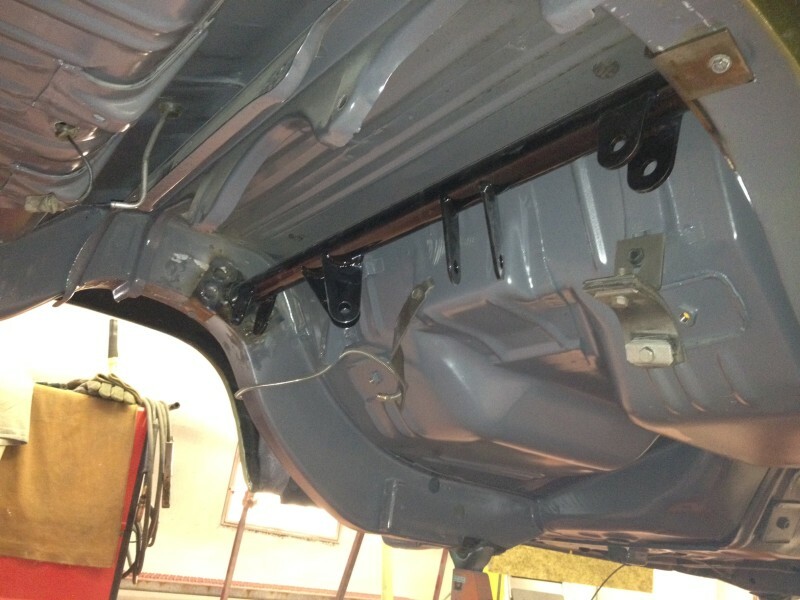 Something as simple as sandblasting and re-painting a hood latch just adds more perfect fit and finish to a car. 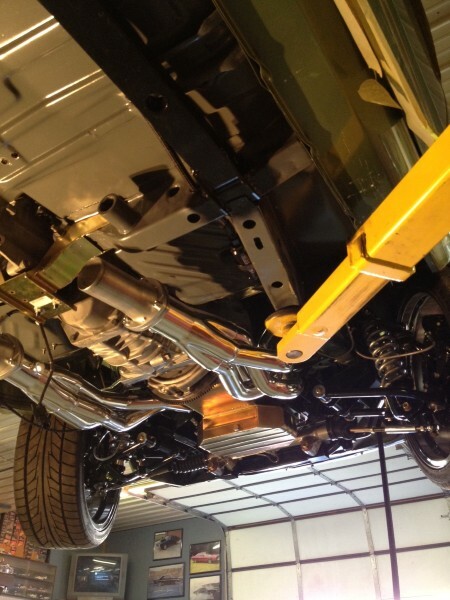 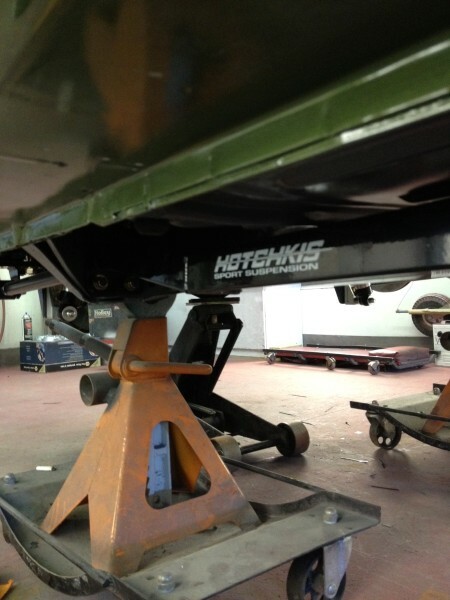 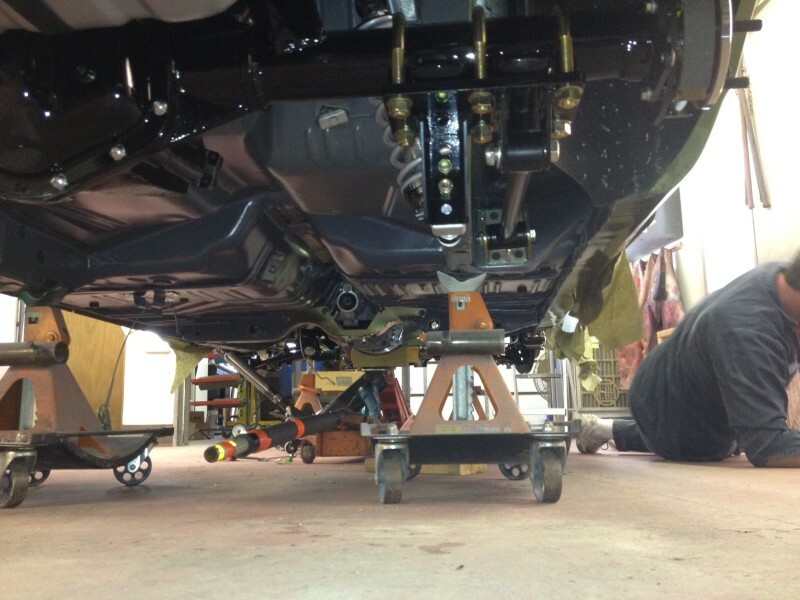 Powder coating the suspension pieces adds beauty and durability. 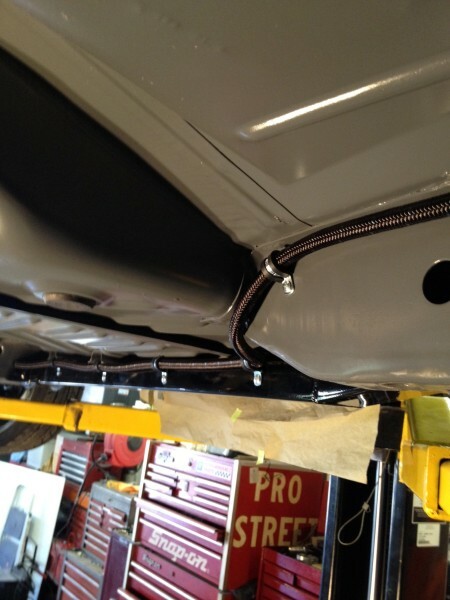 You will also notice all of the stainless fasteners throughout the entire car. 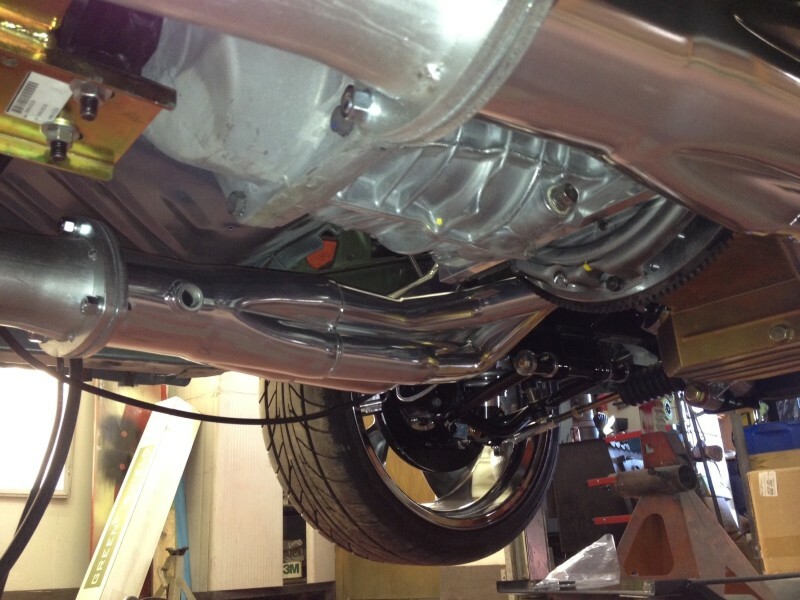 Stainless bolts were used on the project for long life. 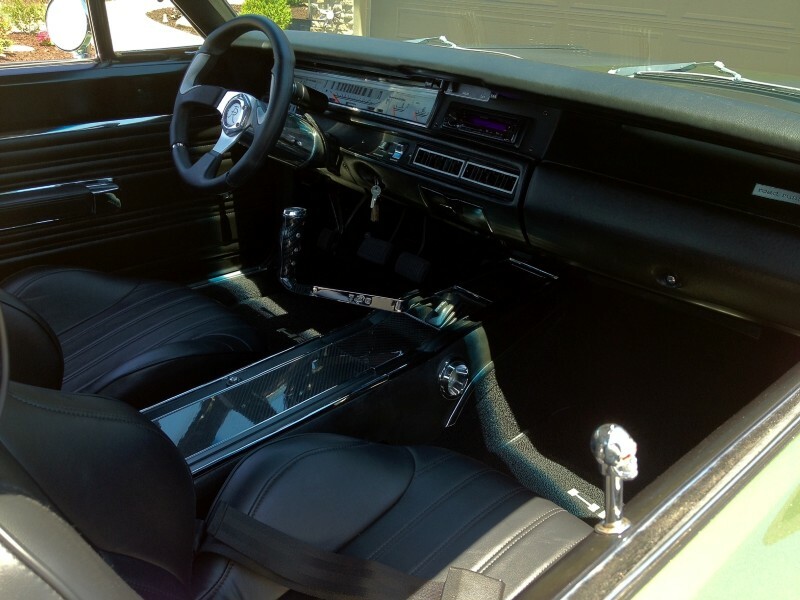 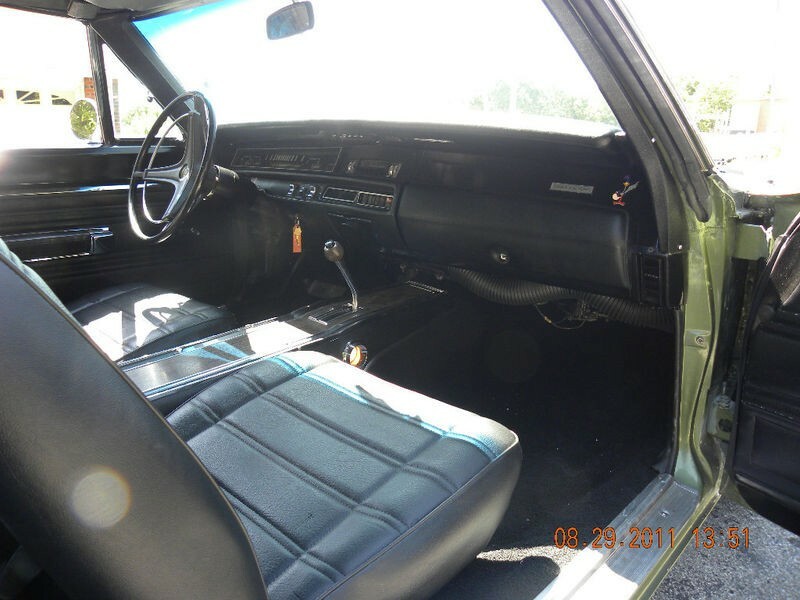 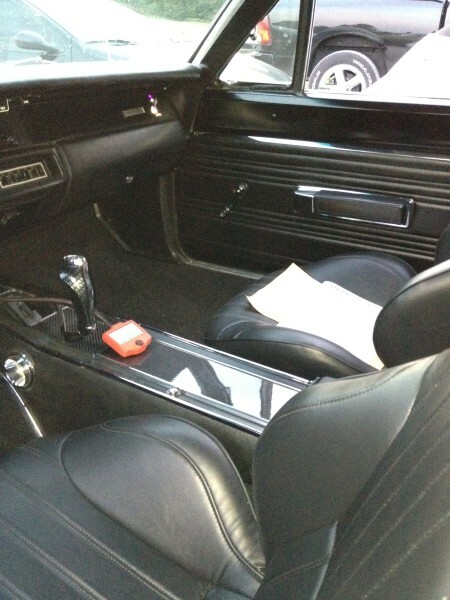 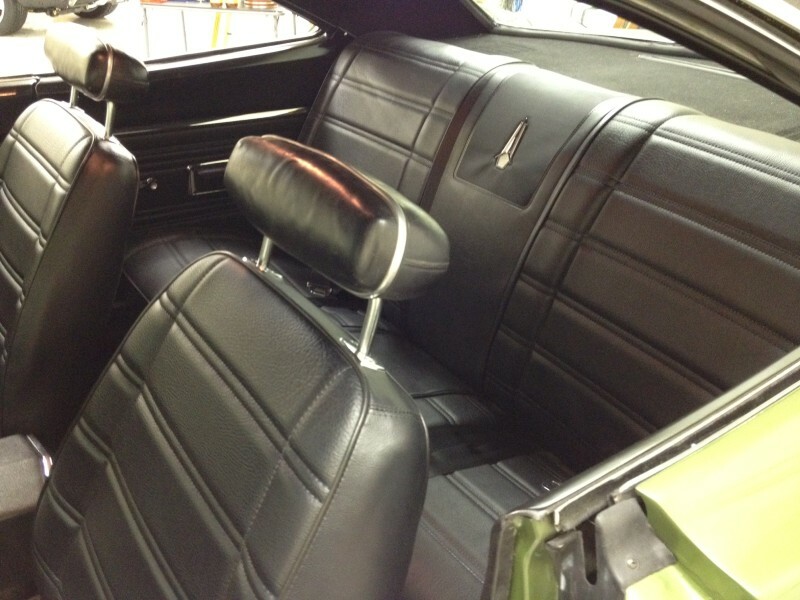 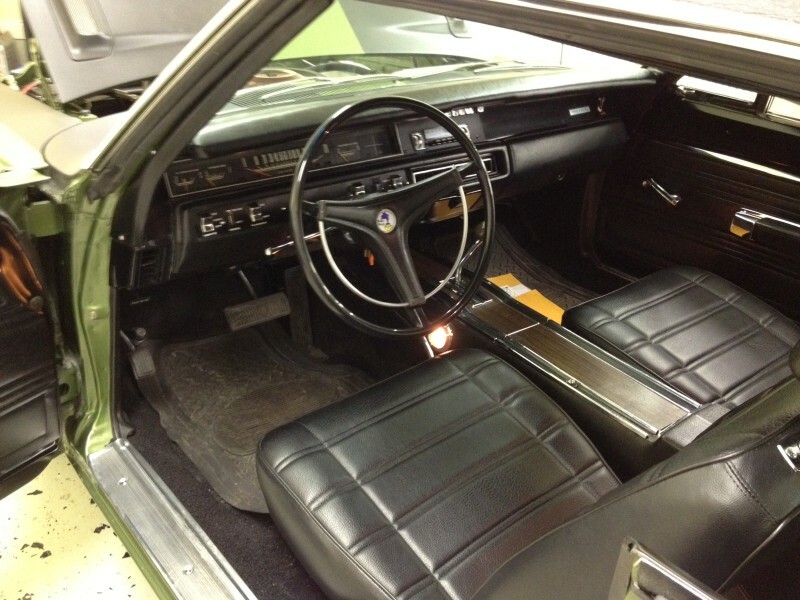 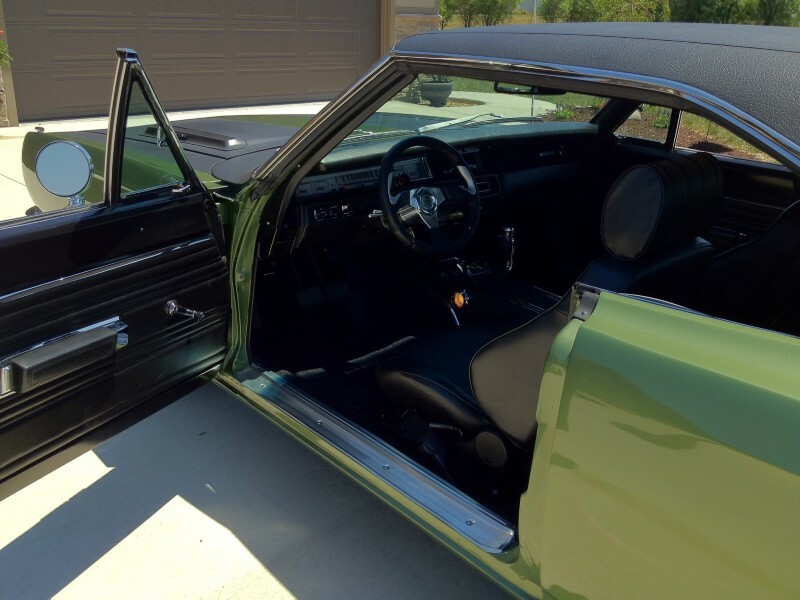 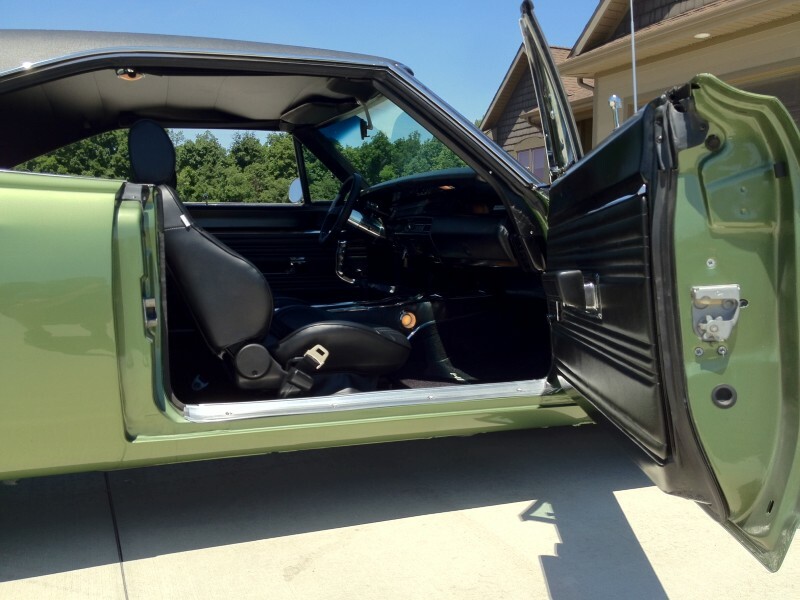 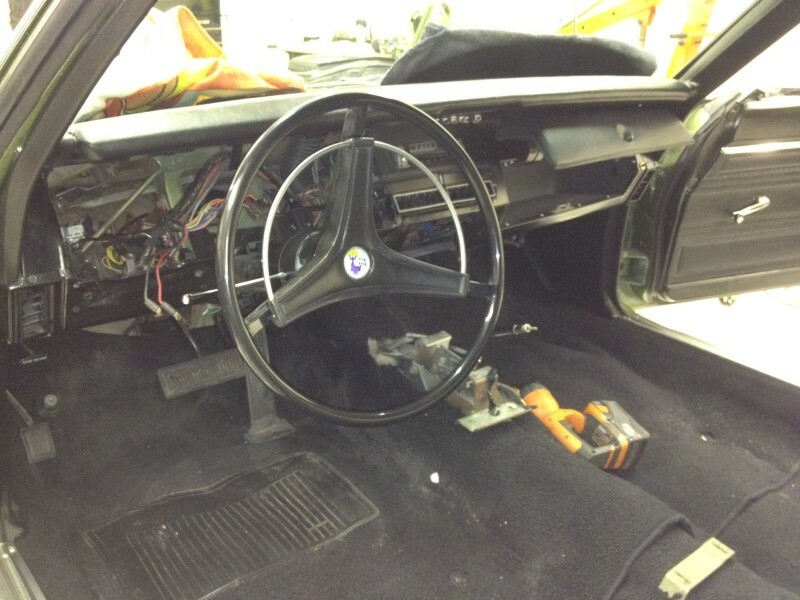 Slip inside and you will quickly see that much of the interior was kept to stock appearance. 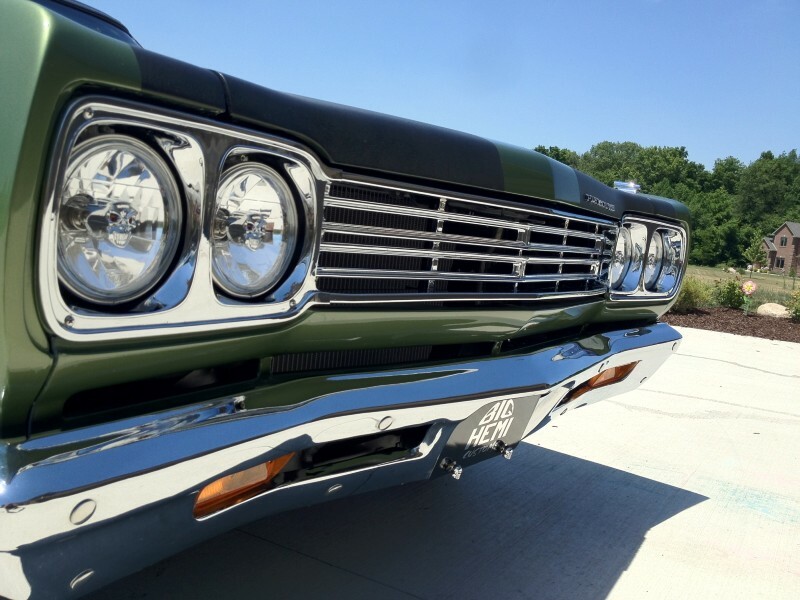 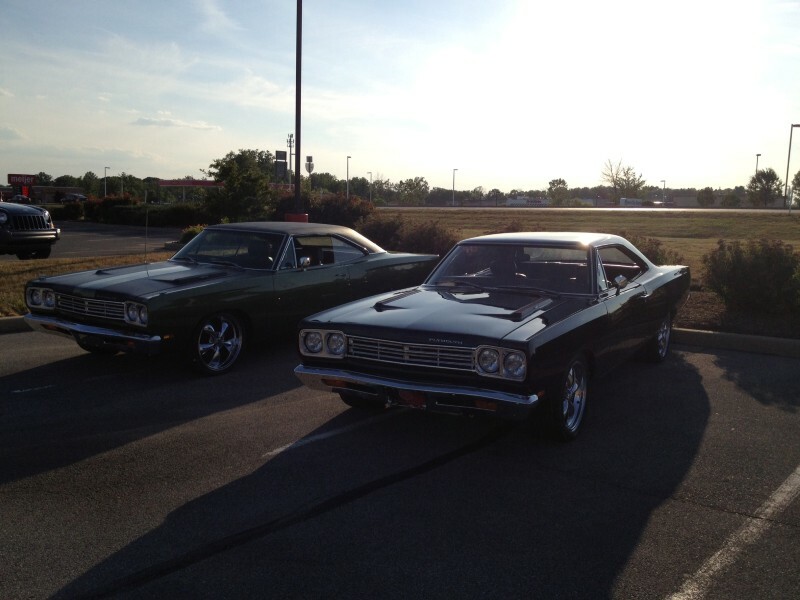 These Roadrunner’s were as beautiful from the inside as well as the out, and we didn’t want to mess too much with a proven design. 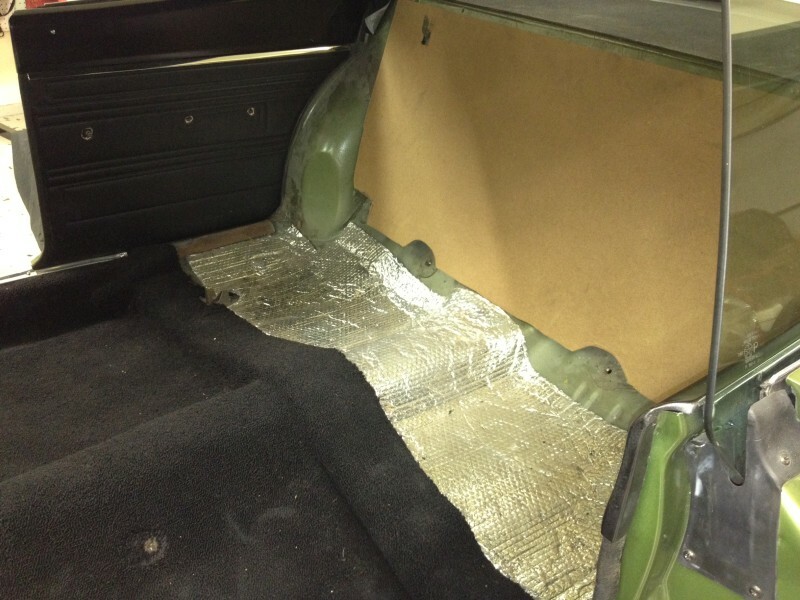 Yards and yards of hush mat was applied to the inner panels to help keep out the sound, heat, and smell. 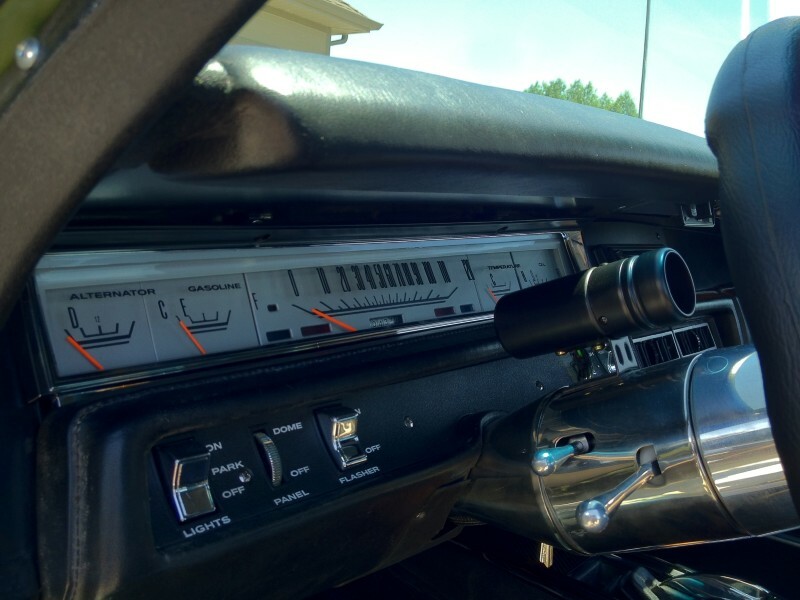 Silver faced gauges were inserted into their respective slots and make a nice show. 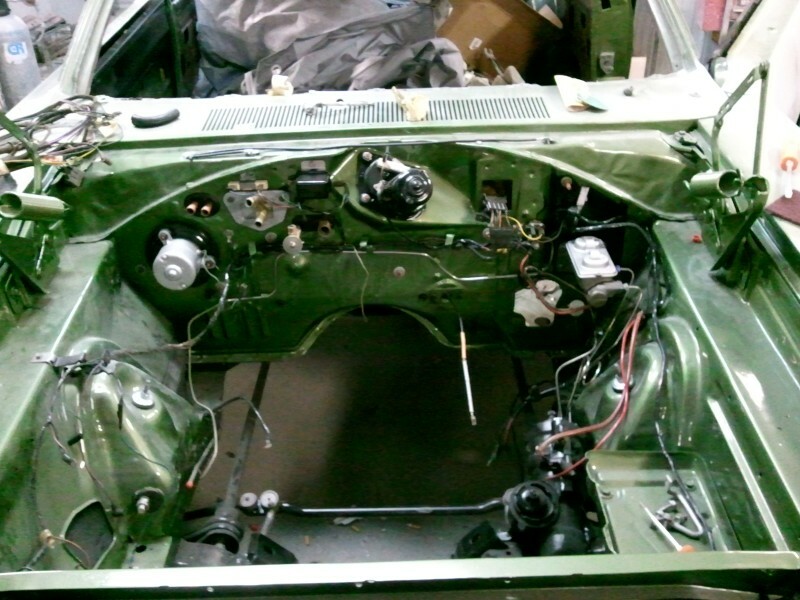 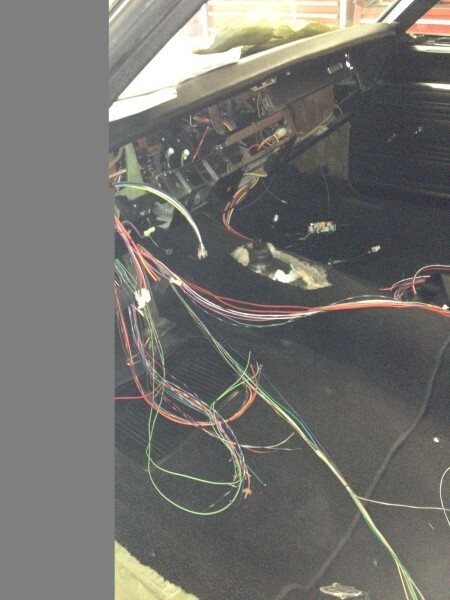 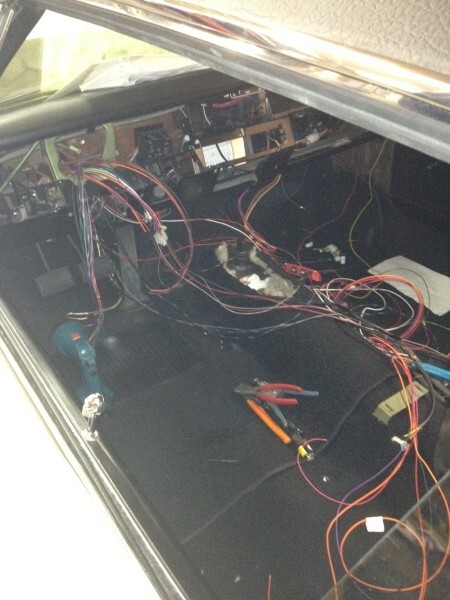 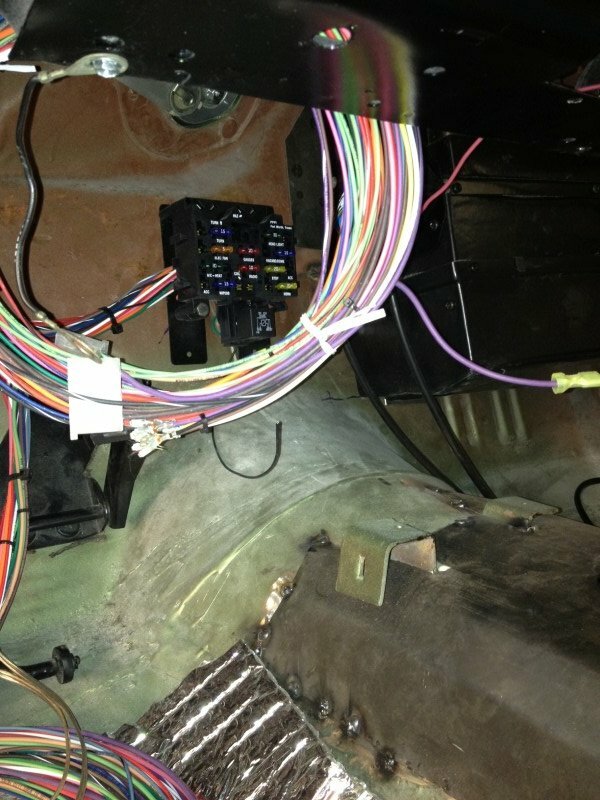 The wiring on the car was completely re-wired with a Painless 18 circuit kit. 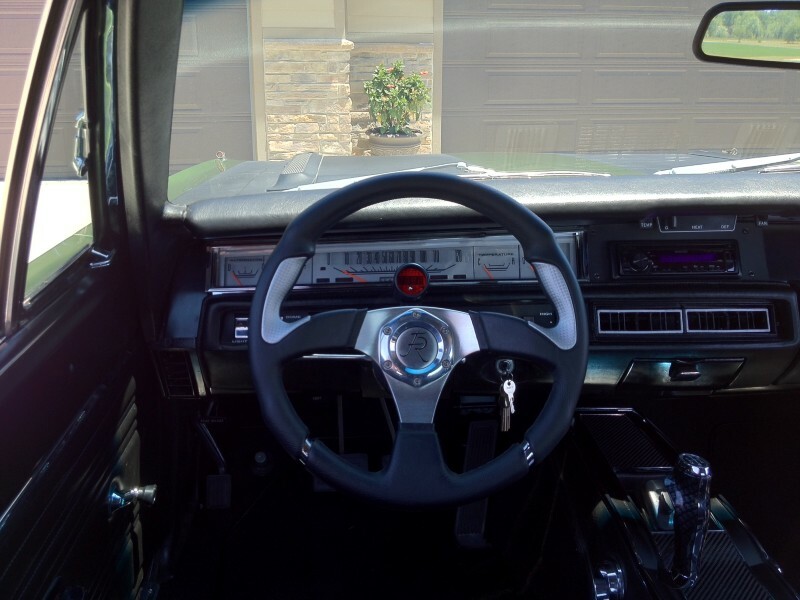 The custom tilt steering column attached to a custom steering wheel feels just right in your hands. 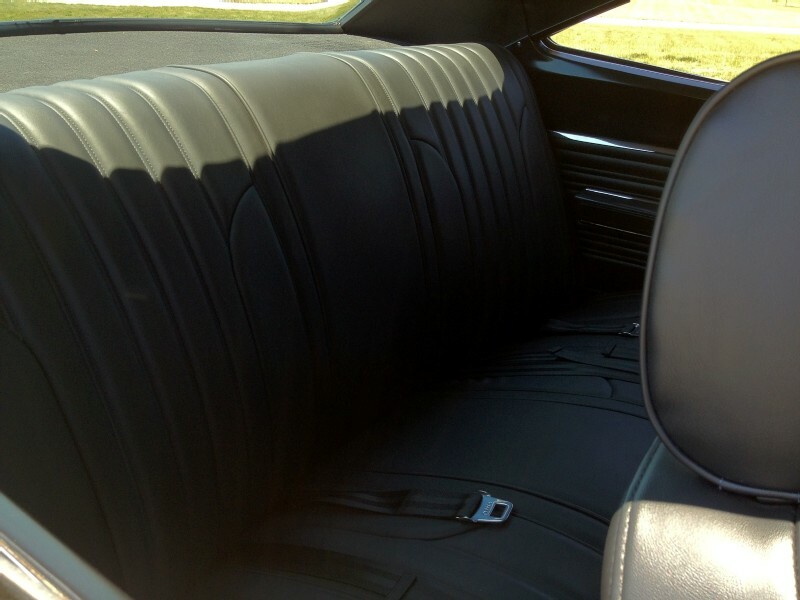 The custom upholstered seats are from Marquart’s, and give a hint of modern style with matching comfort. 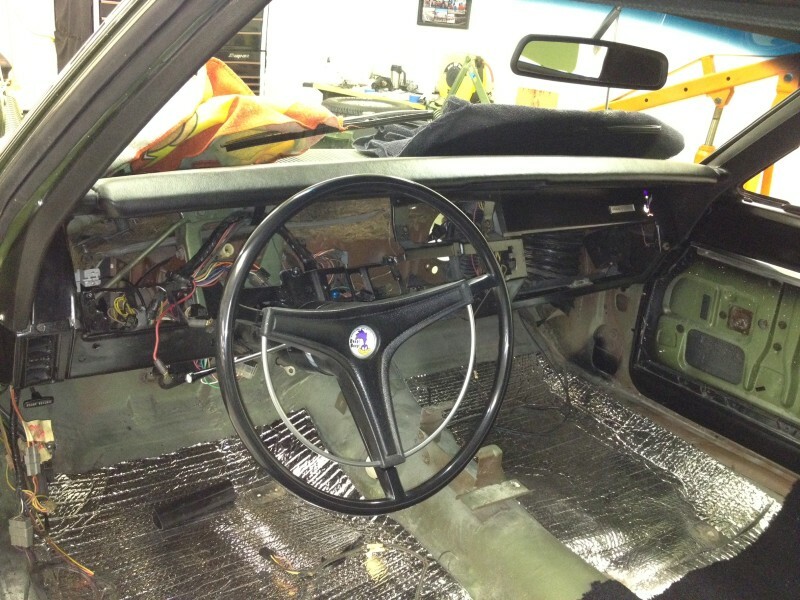 A complete restoration of the original dash heater controls and gauge cluster was also completed, and all the controls operate flawlessly. 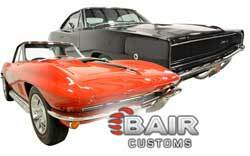 Enjoy the custom IPOD and CD stereo and blast the music out with some killer speakers. 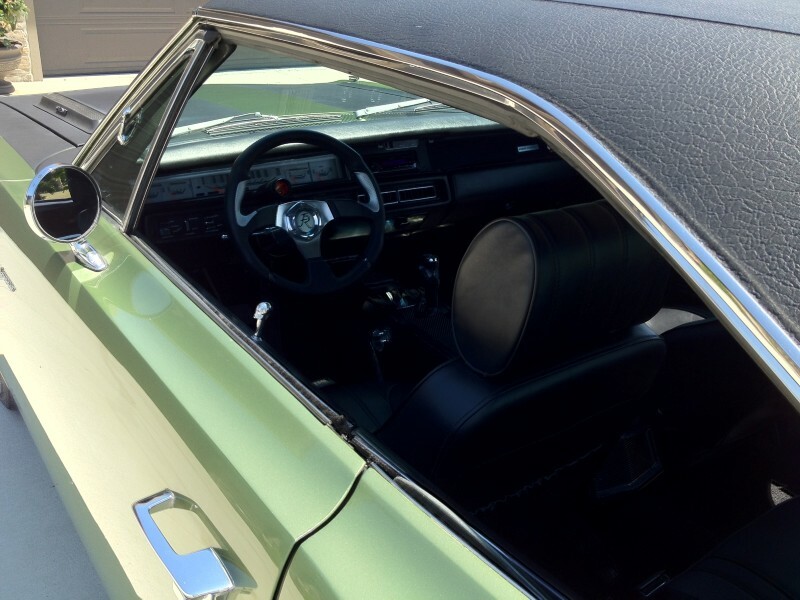 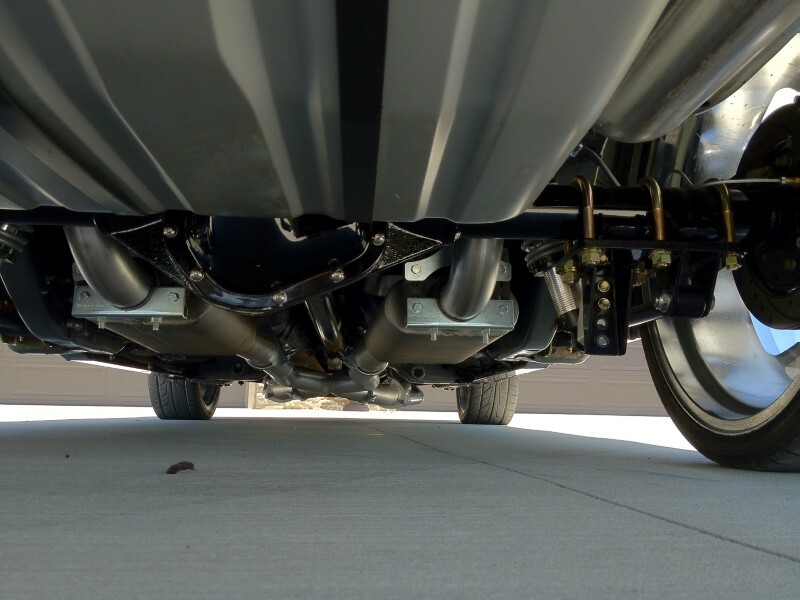 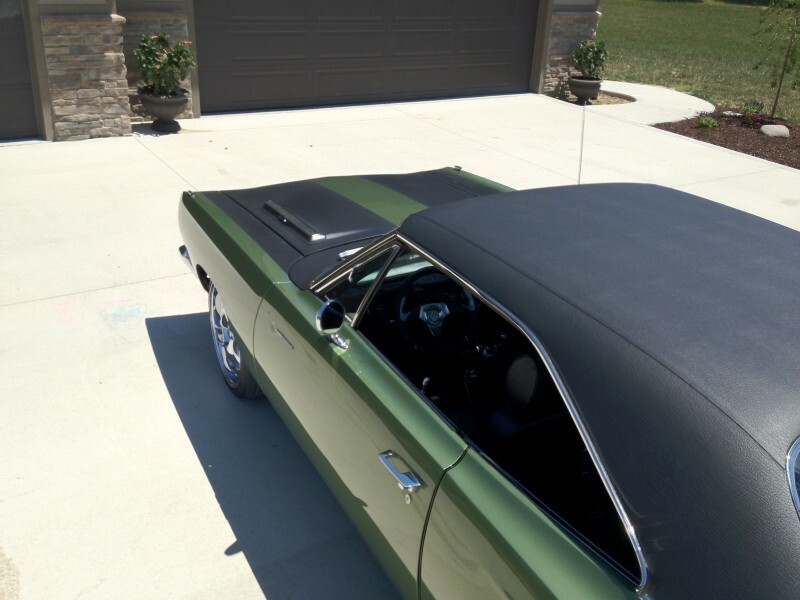 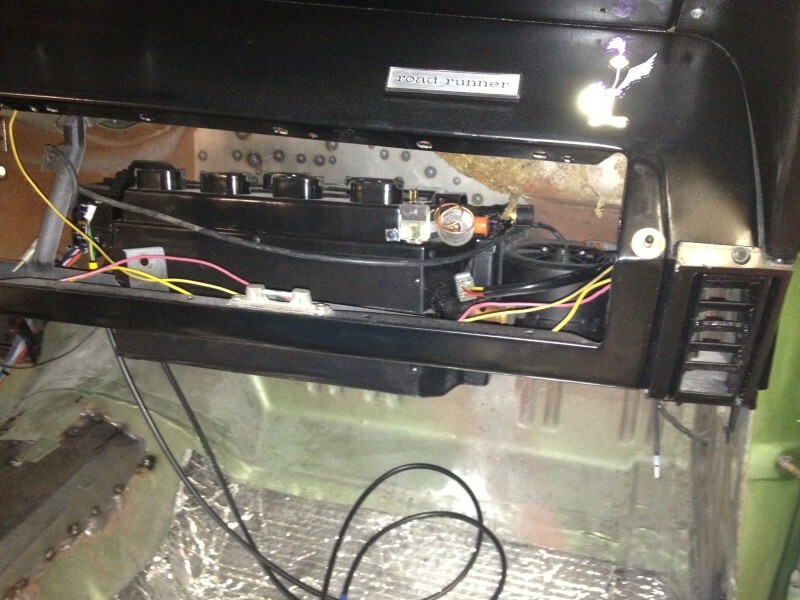 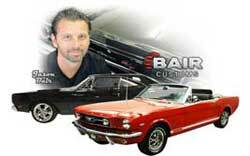 The Classic Auto Air Heater system is controlled by the original factory sliders. 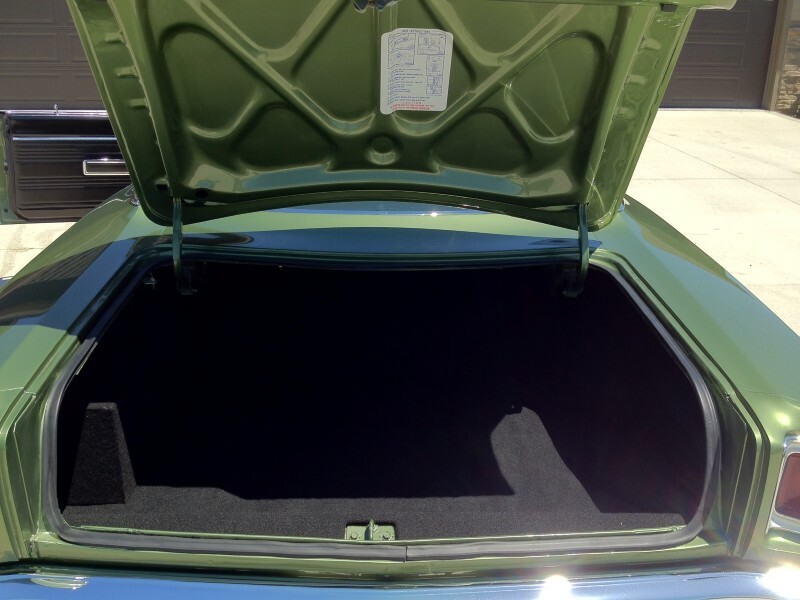 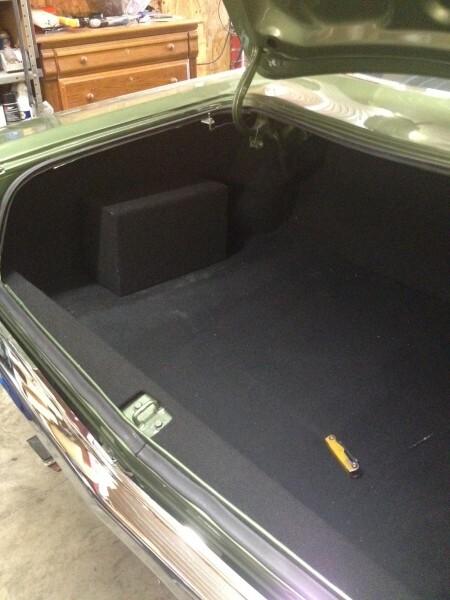 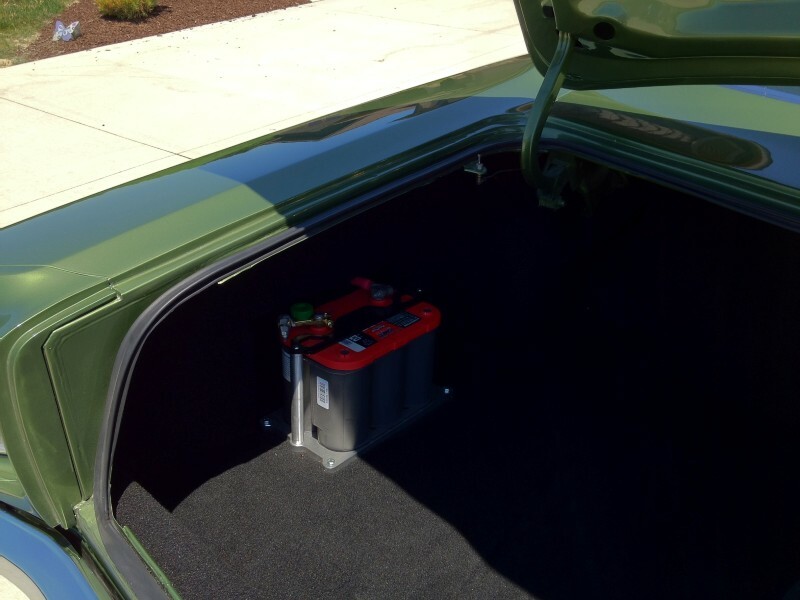 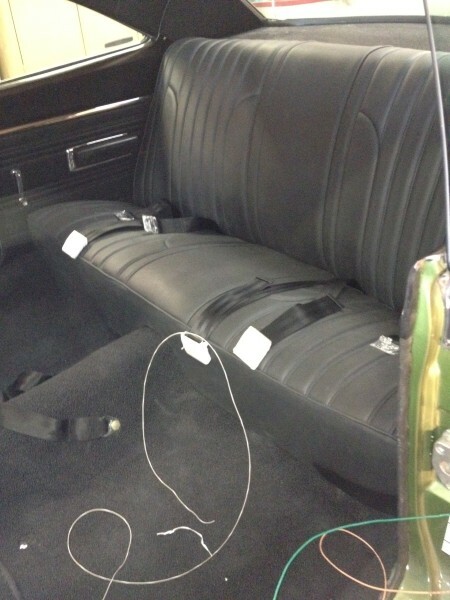 The custom upholstered and carpeted trunk adds a nice finishing touch to the project.